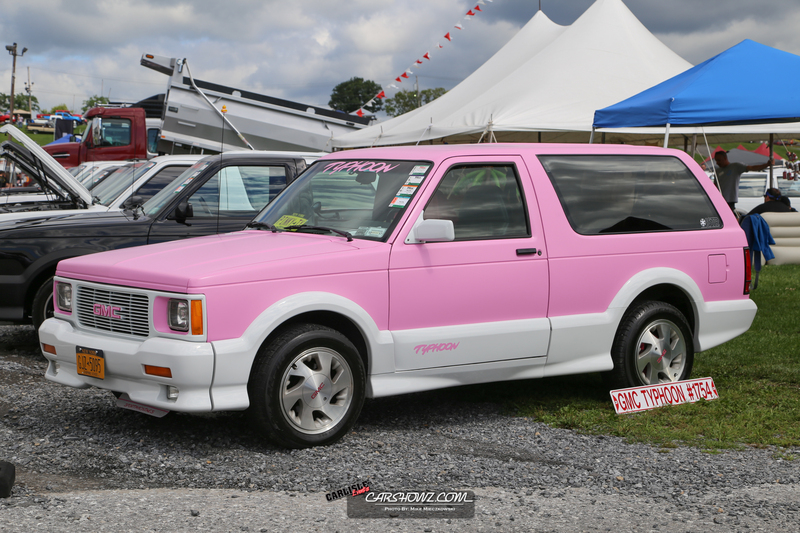 It’s that time of year again. 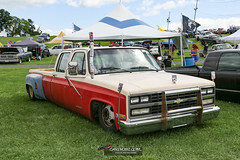 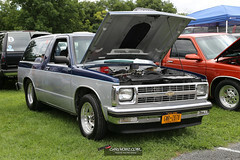 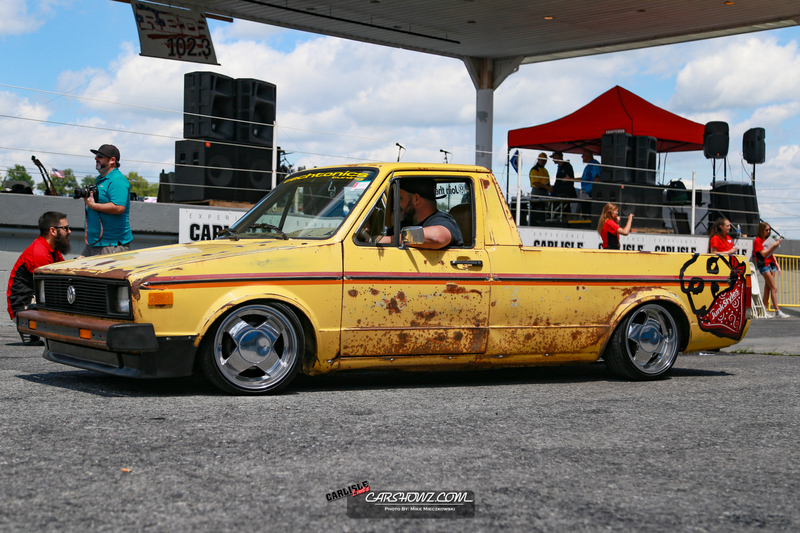 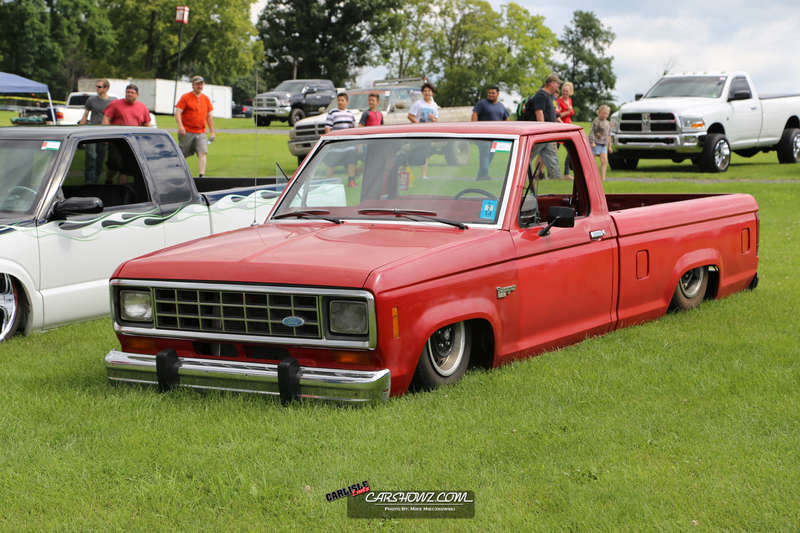 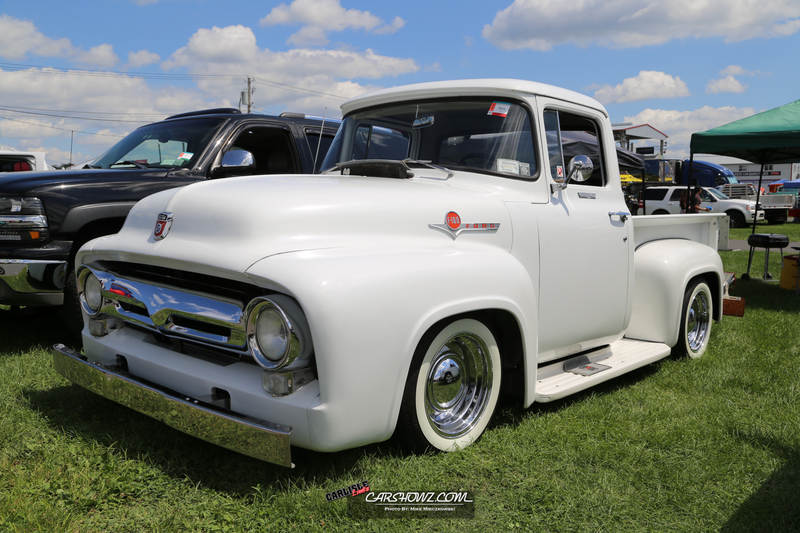 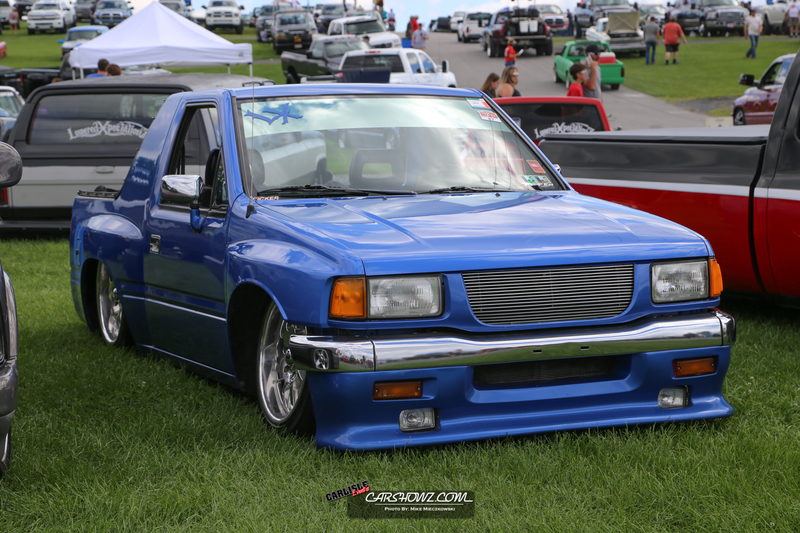 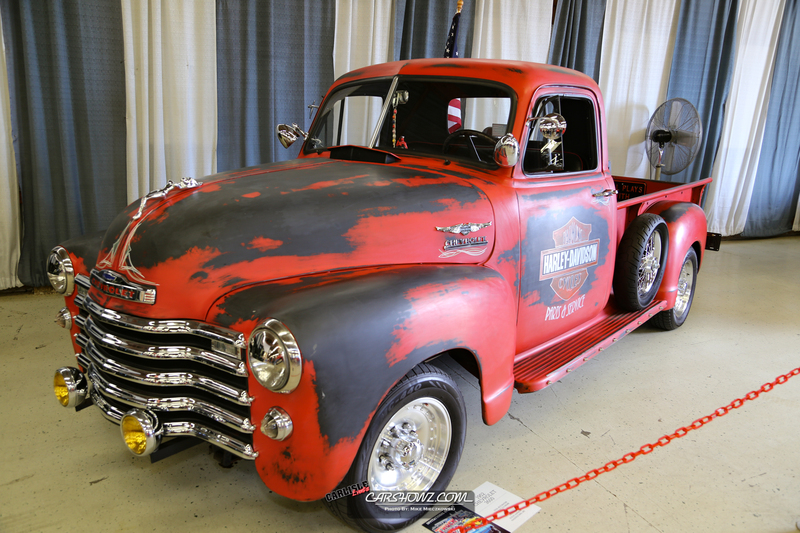 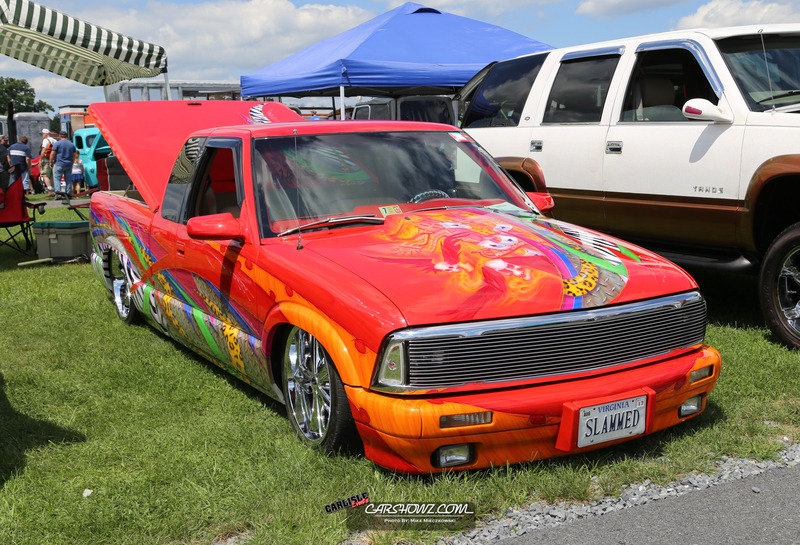 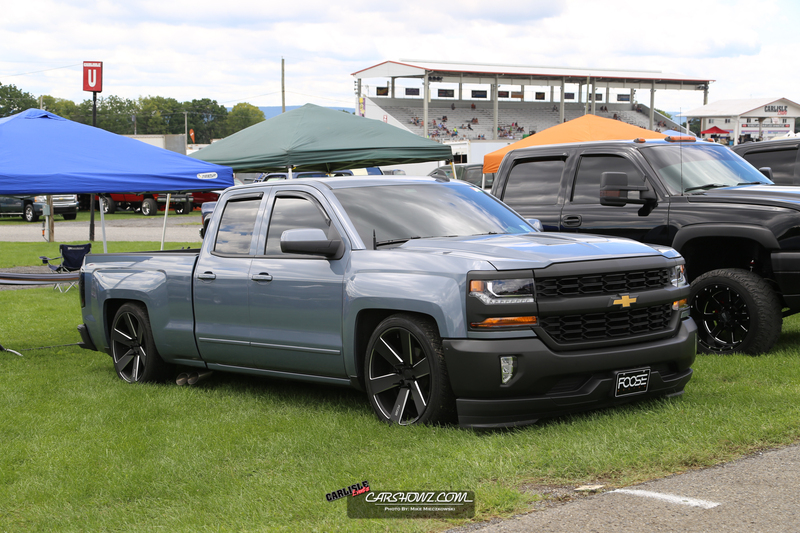 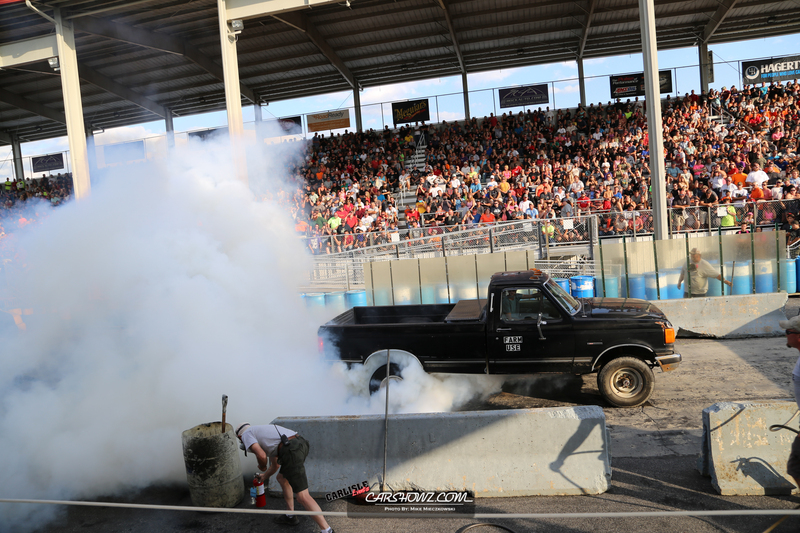 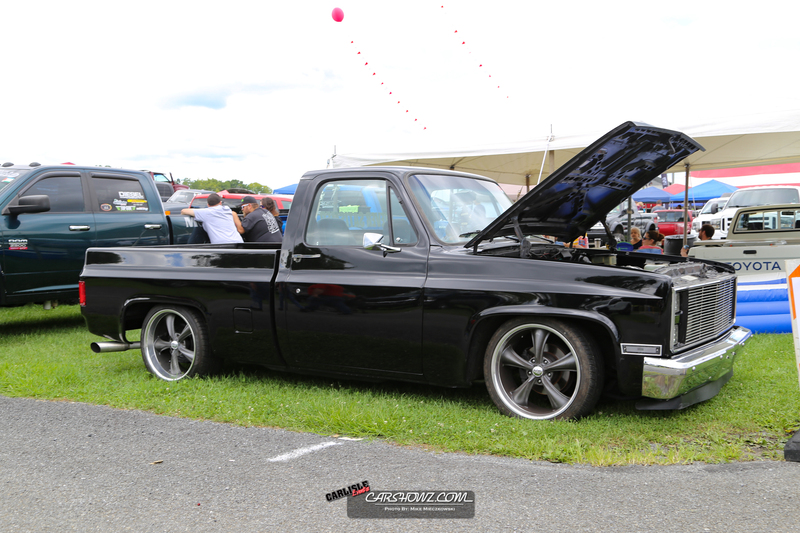 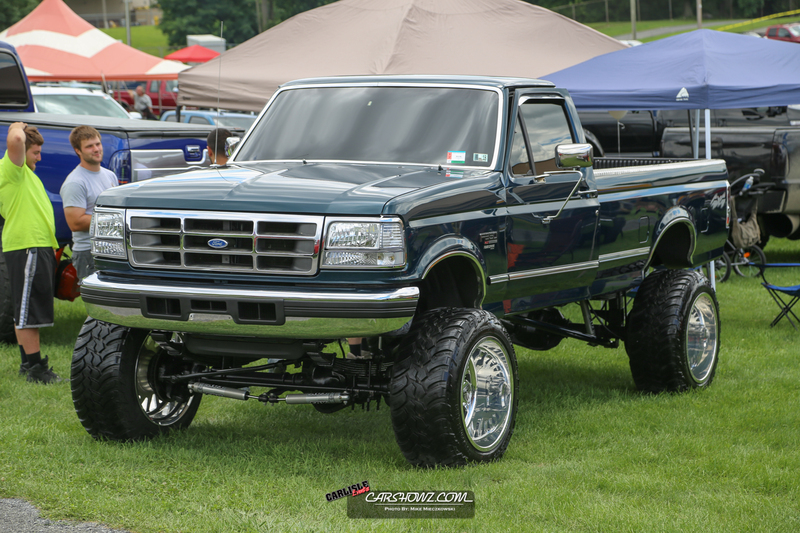 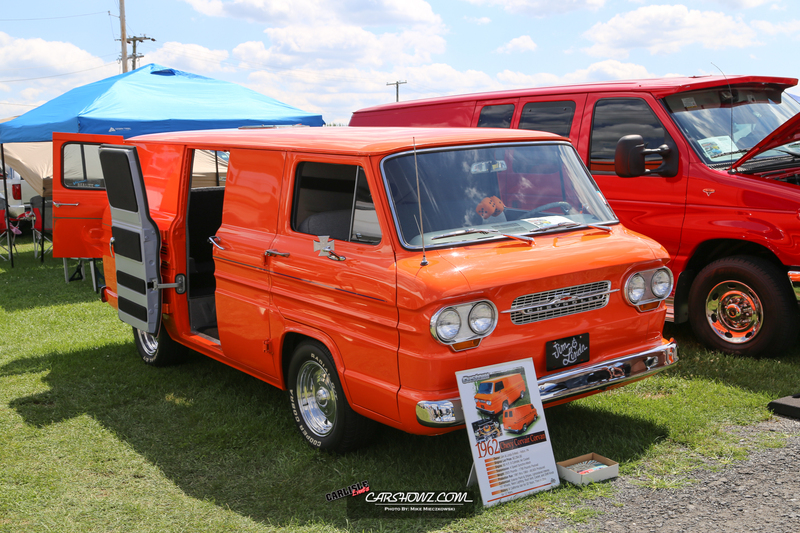 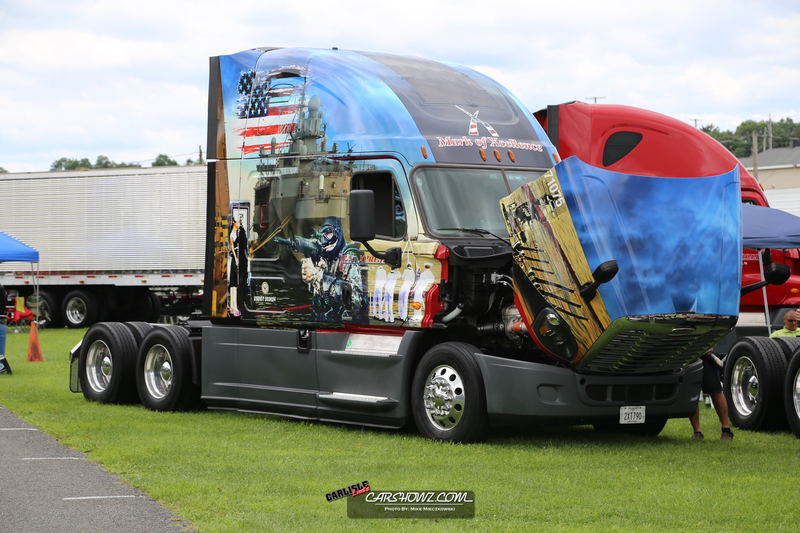 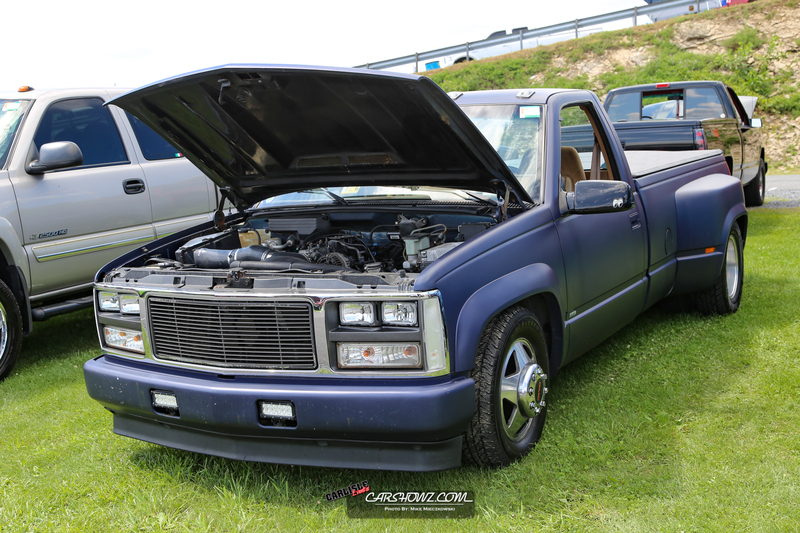 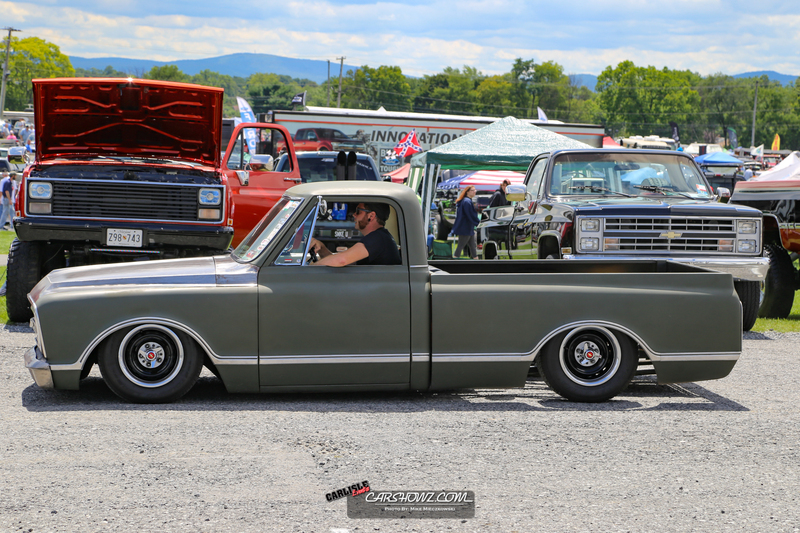 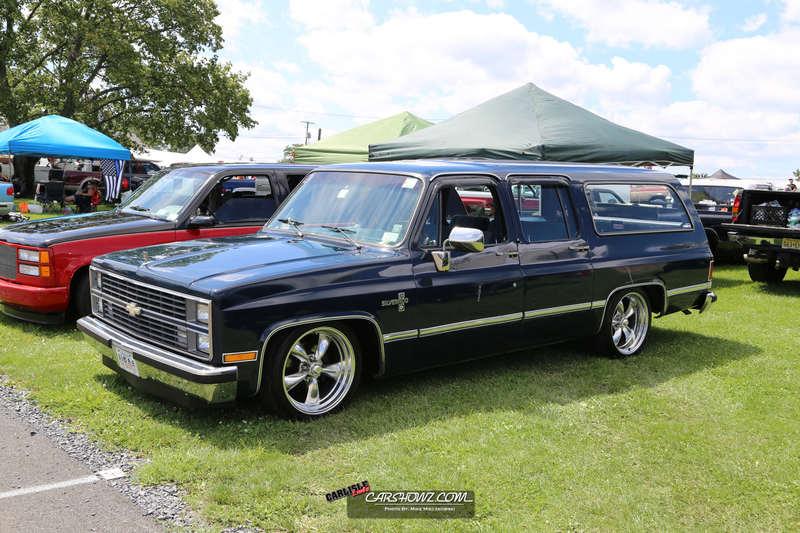 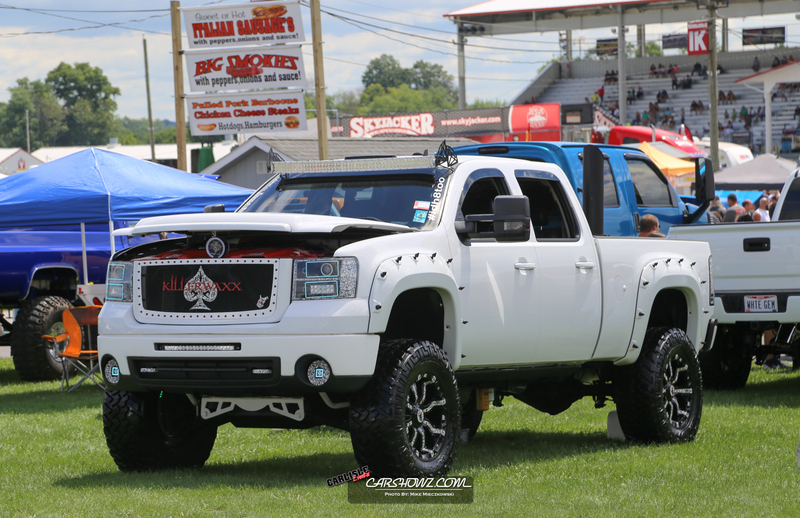 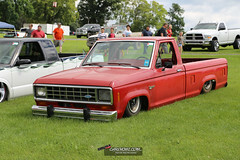 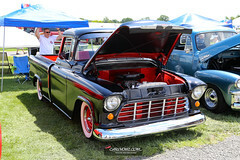 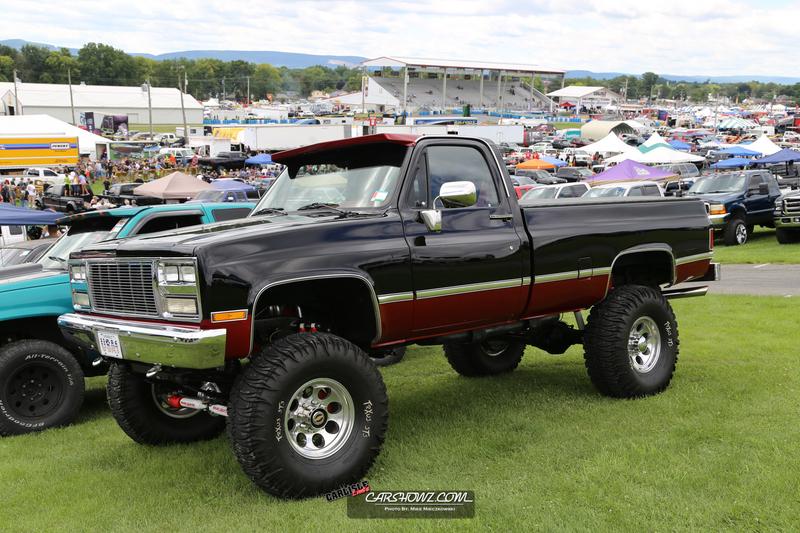 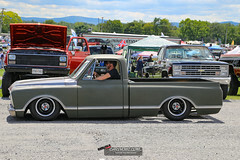 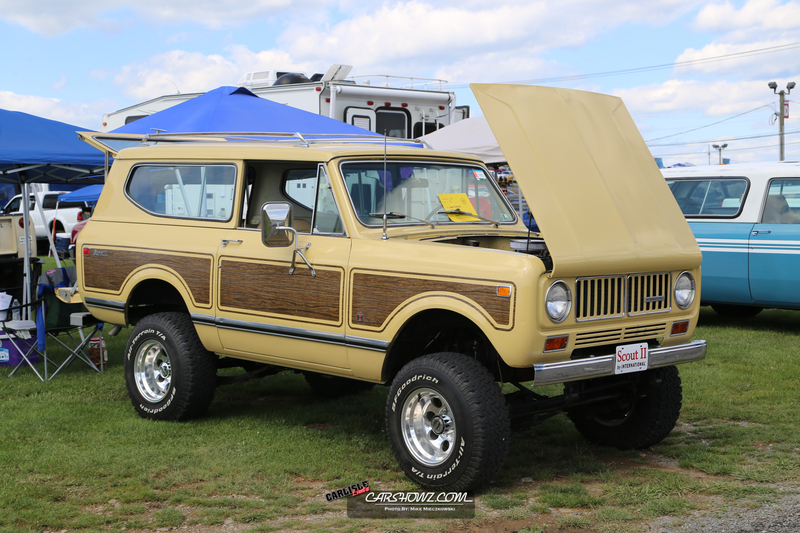 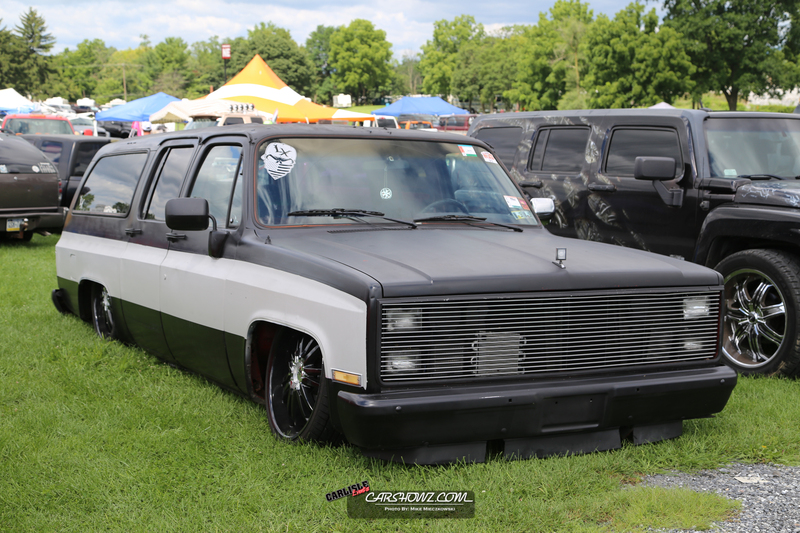 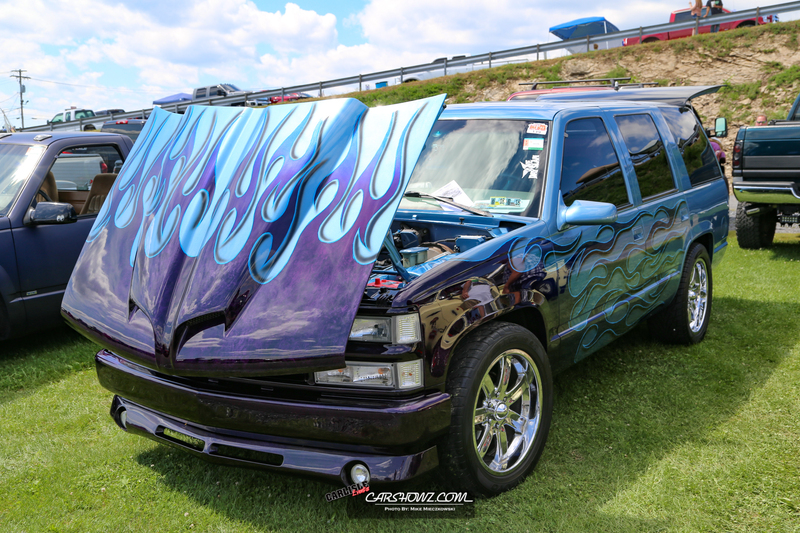 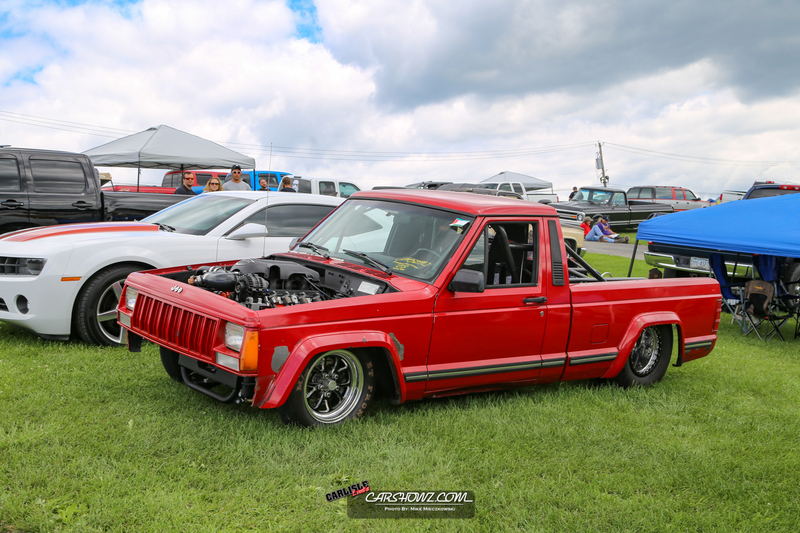 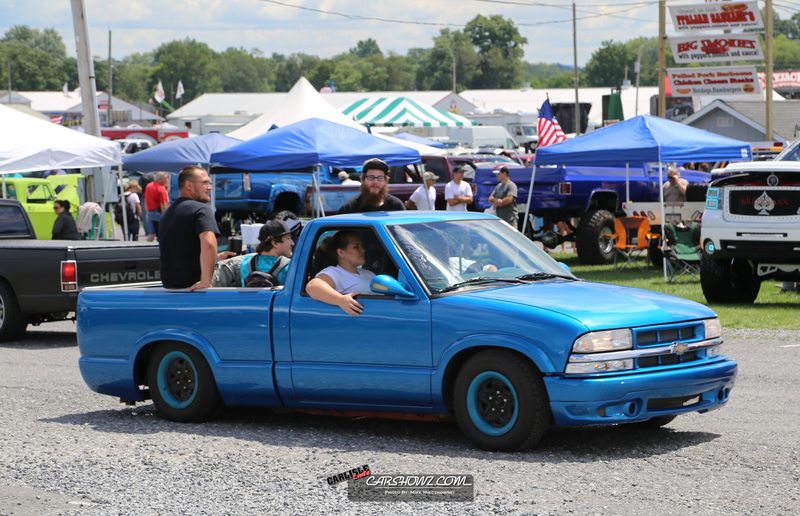 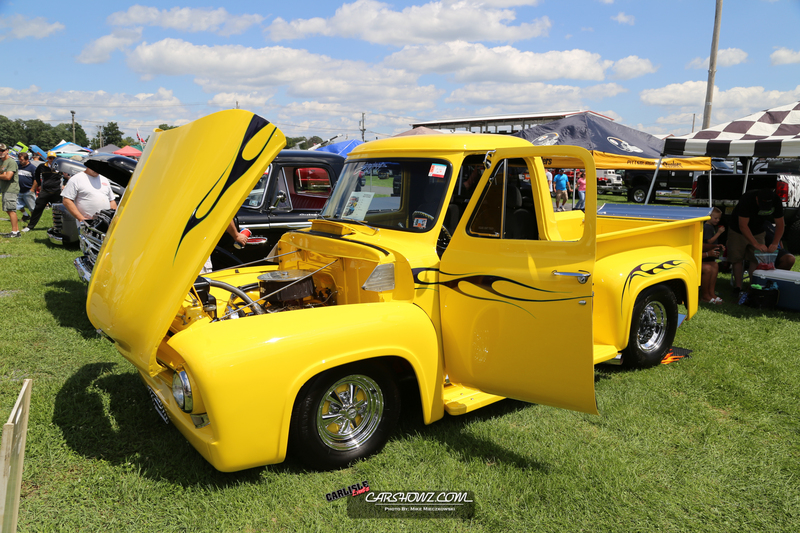 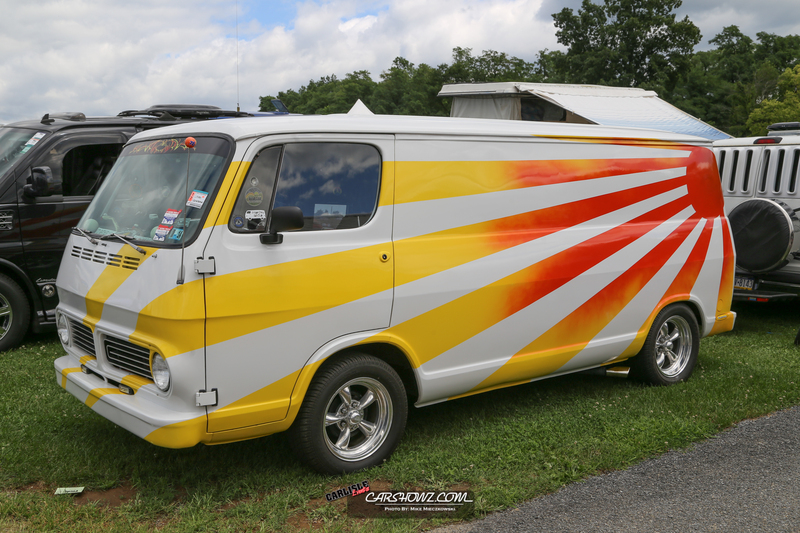 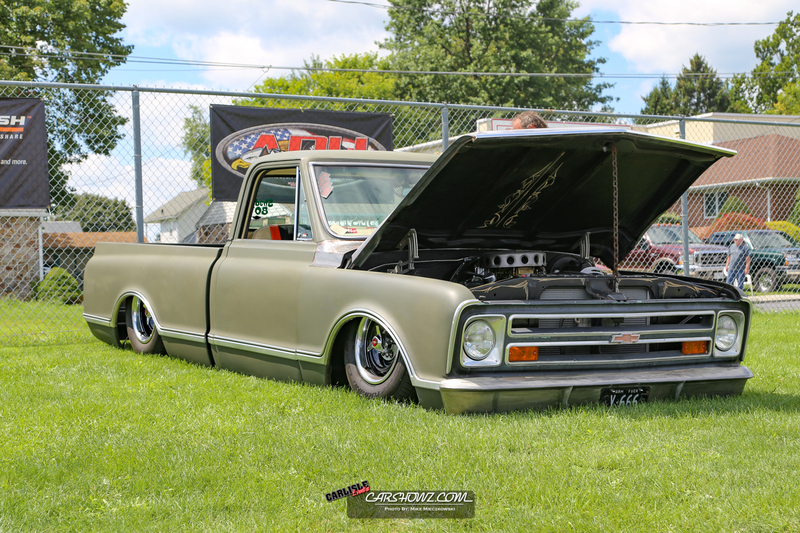 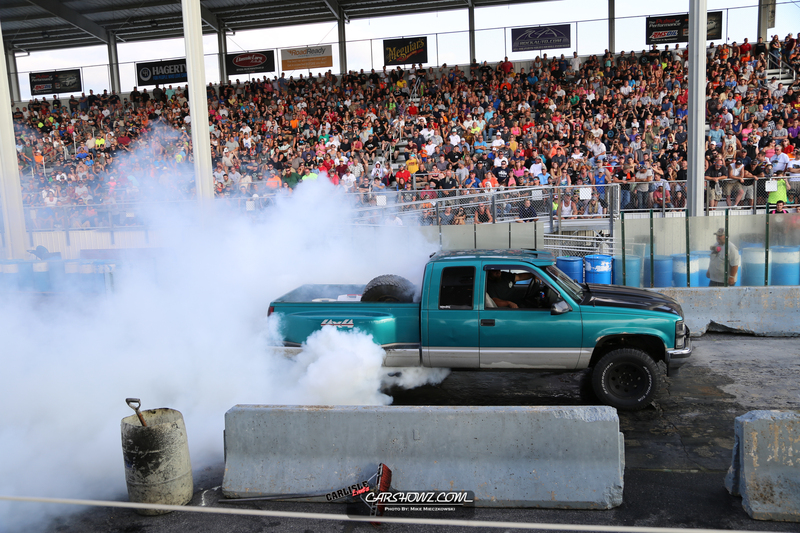 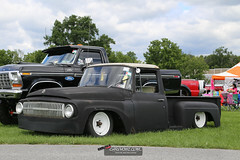 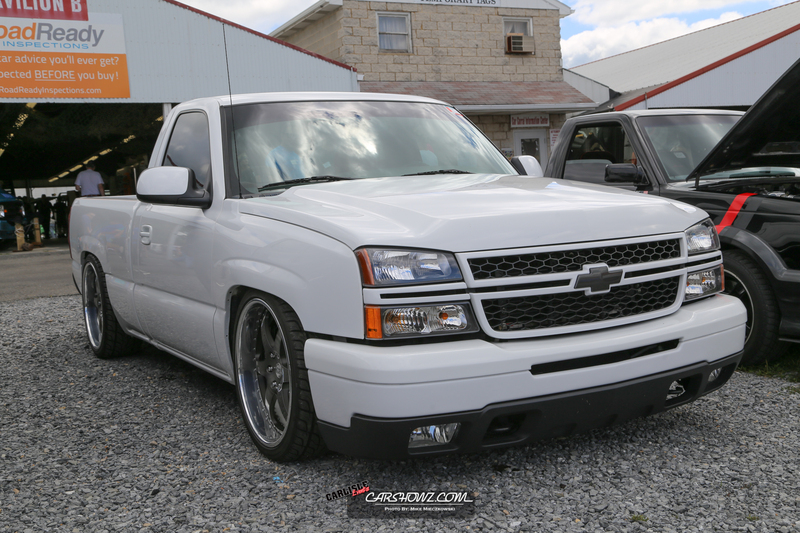 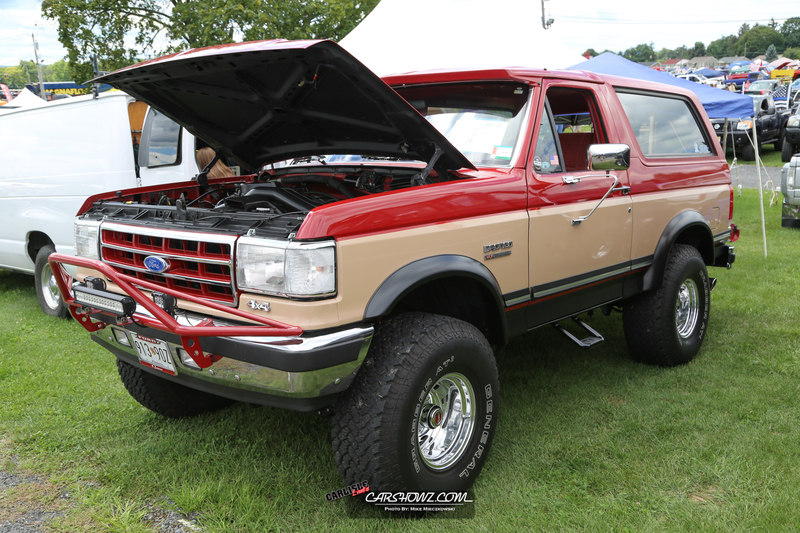 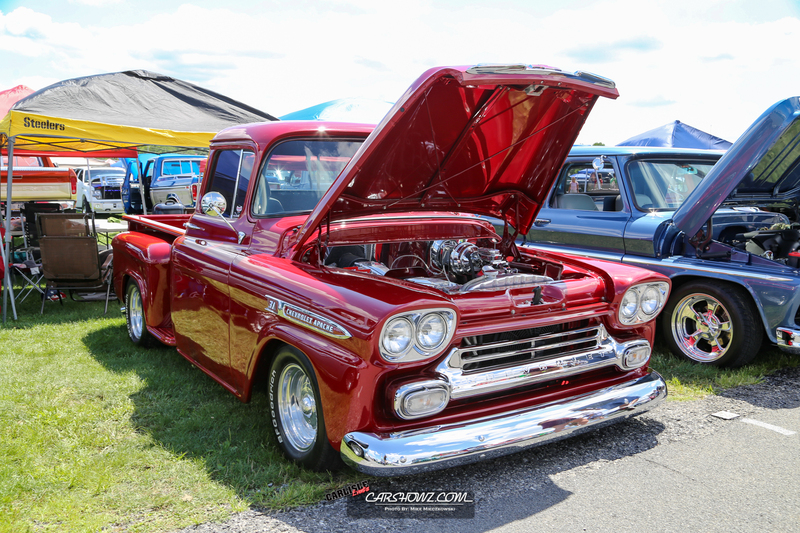 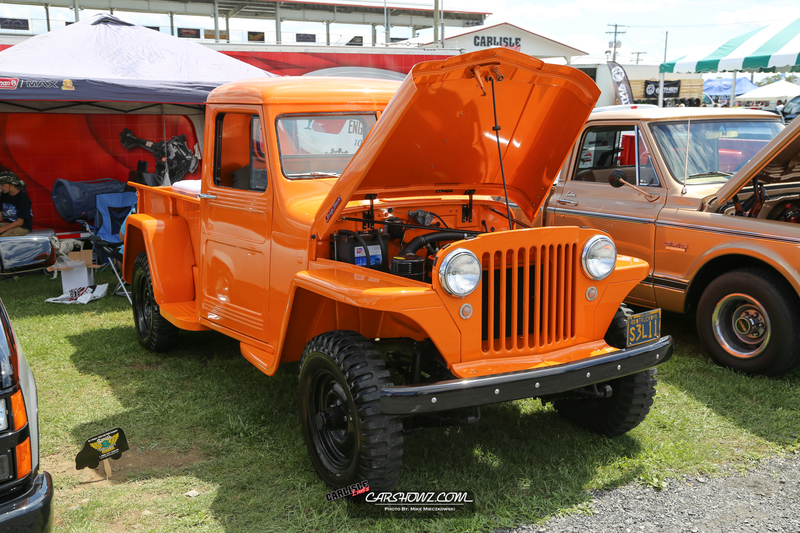 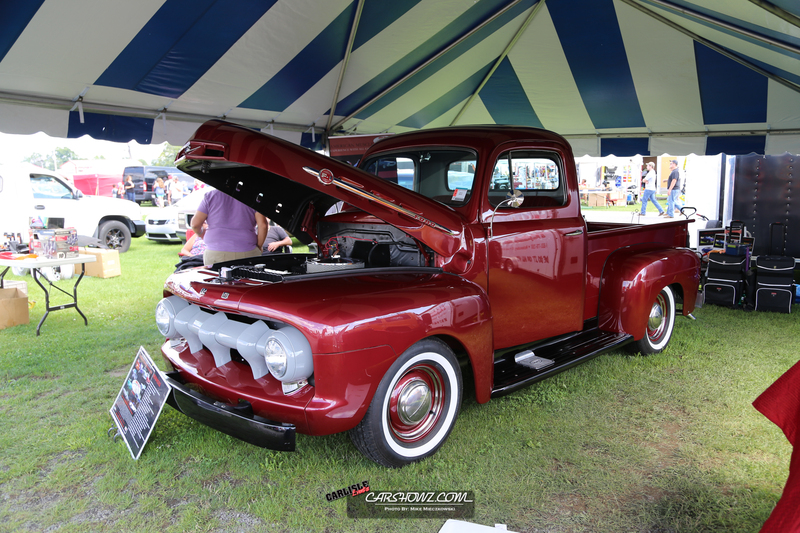 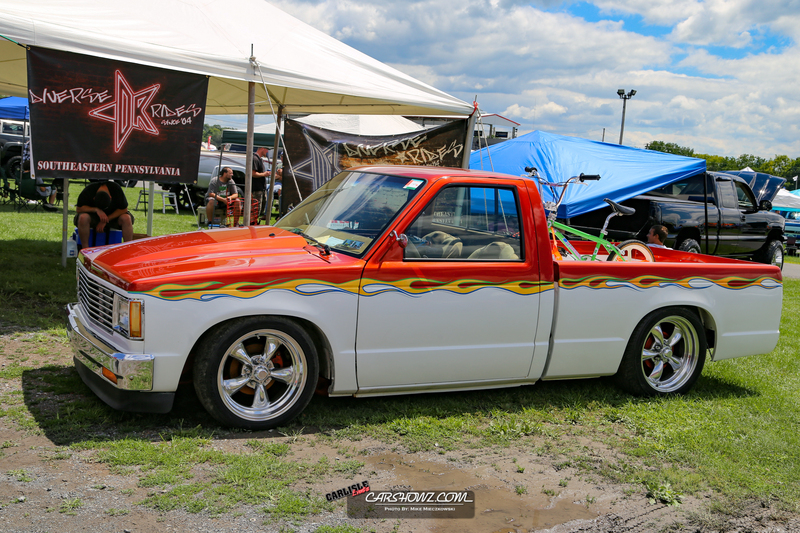 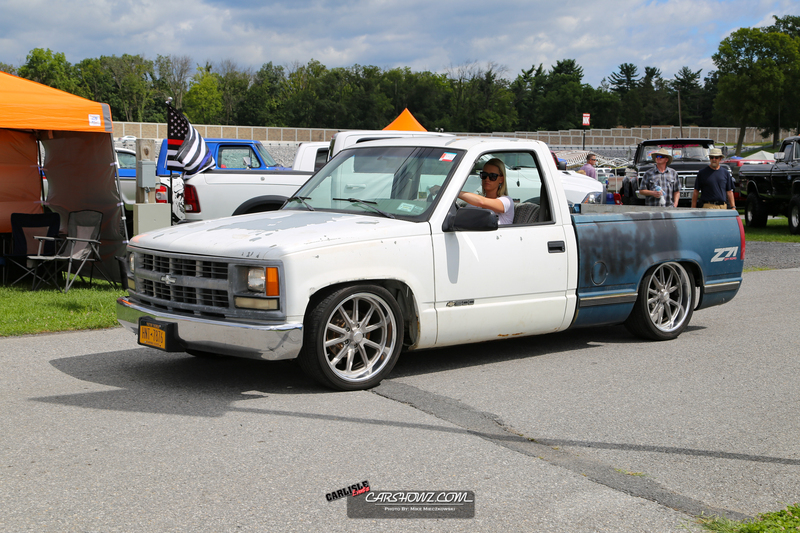 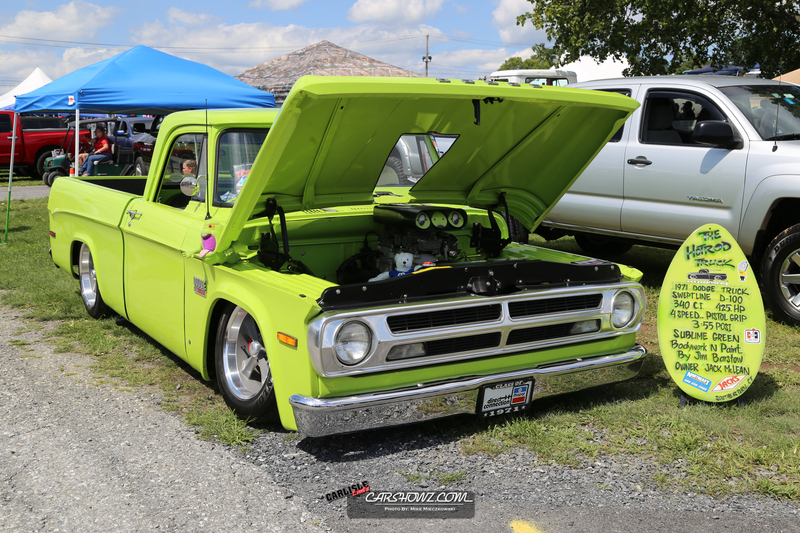 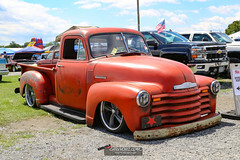 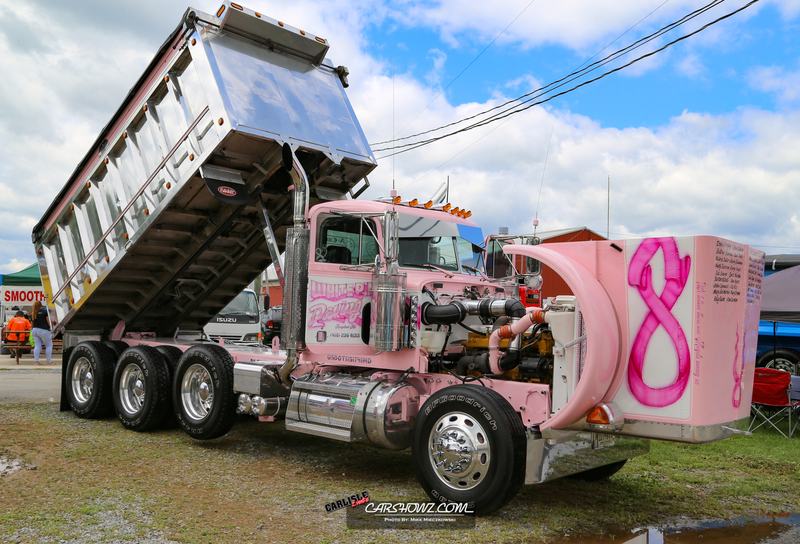 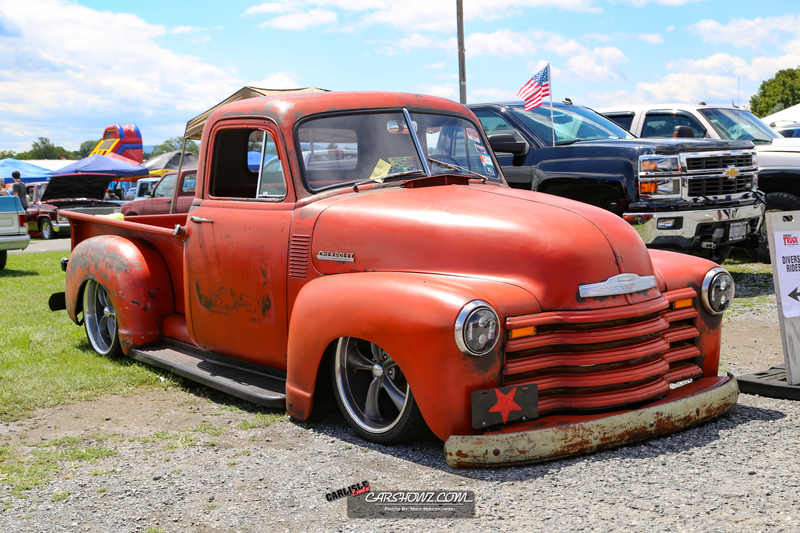 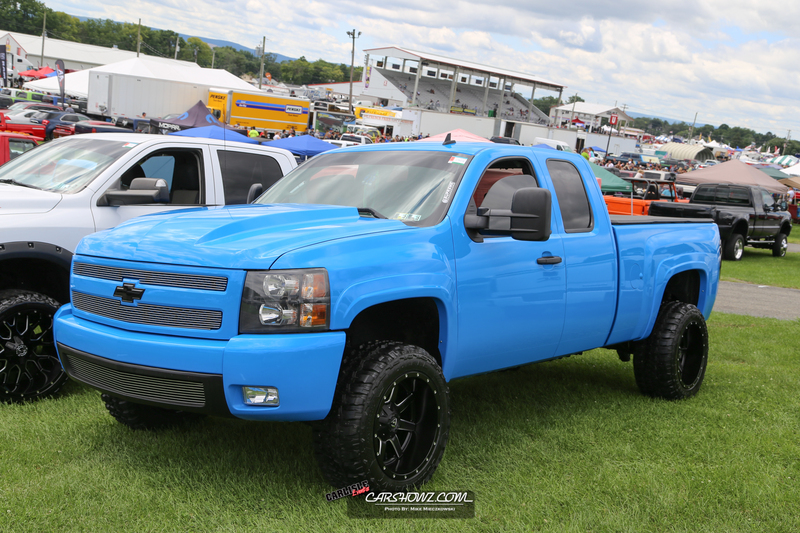 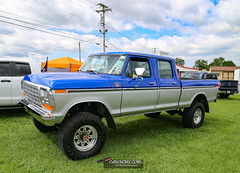 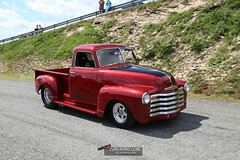 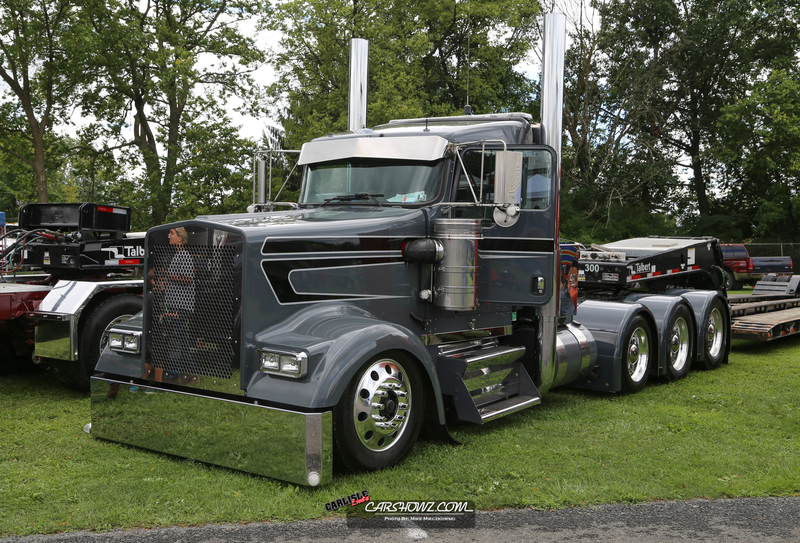 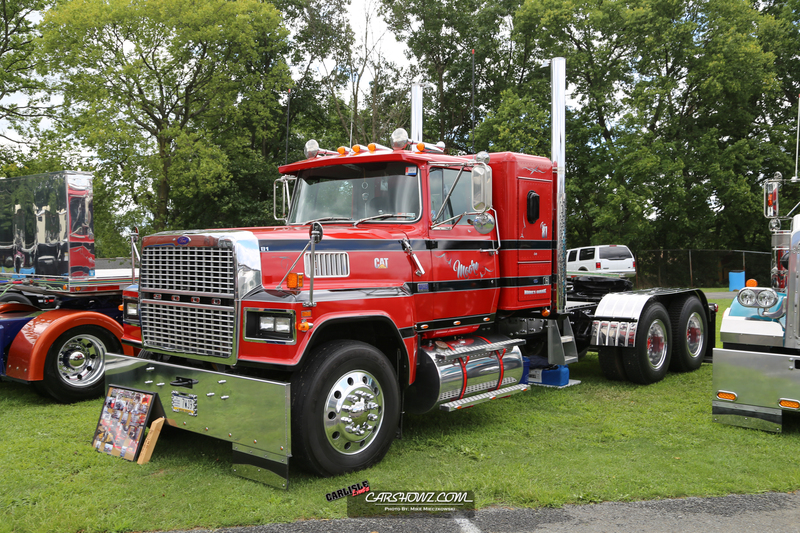 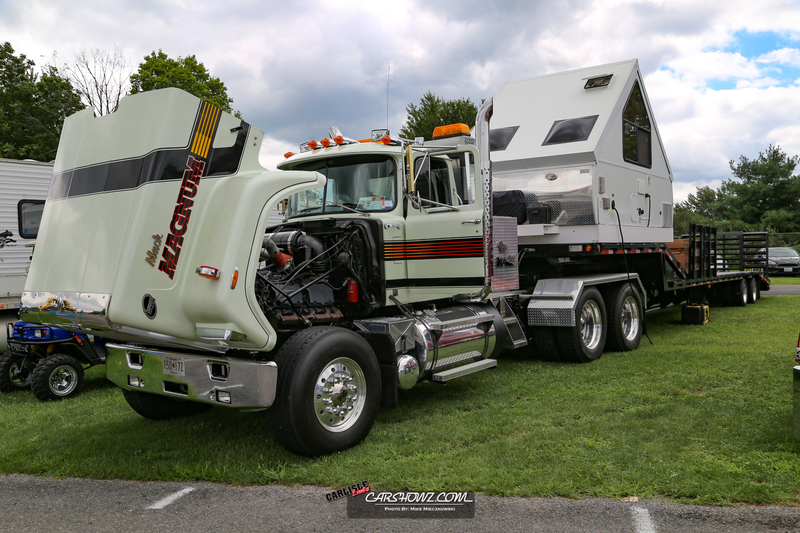 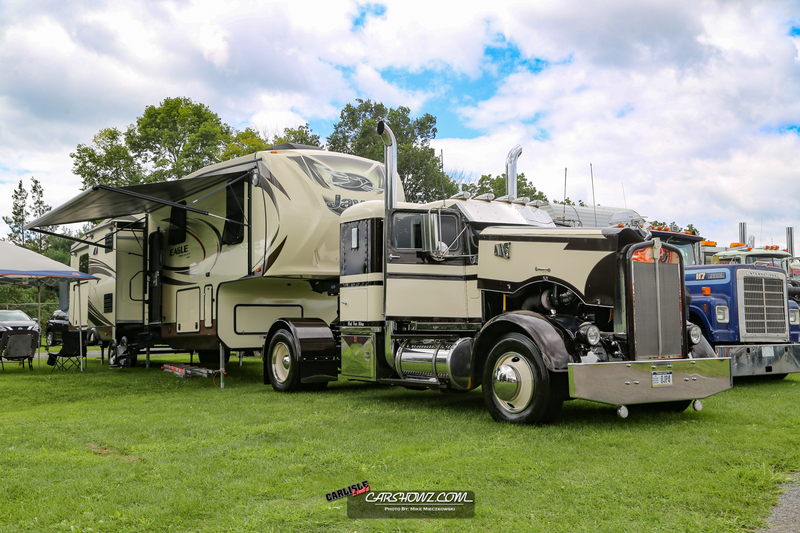 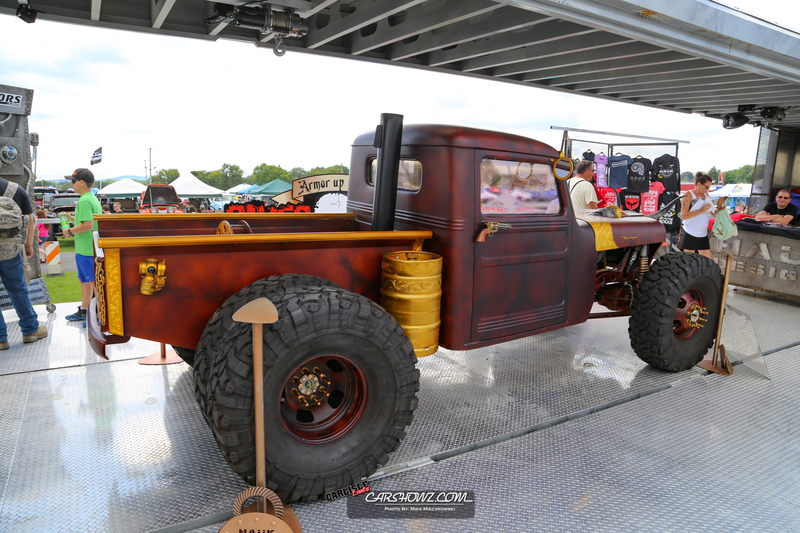 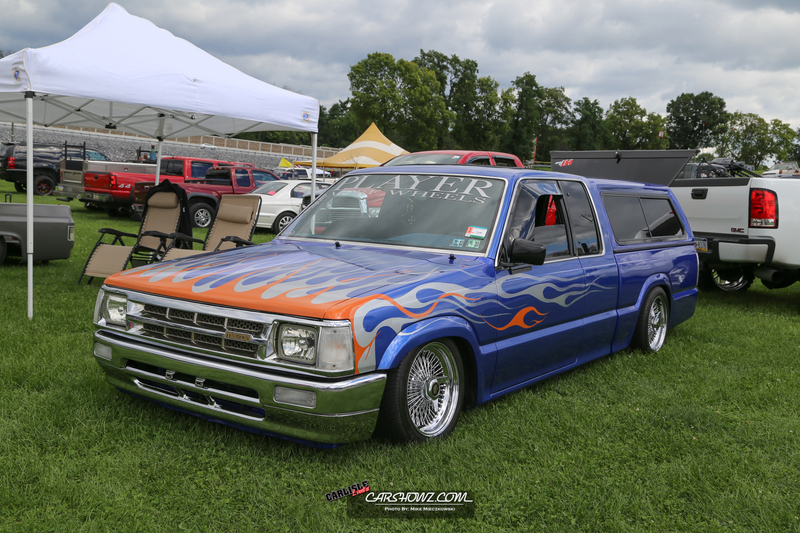 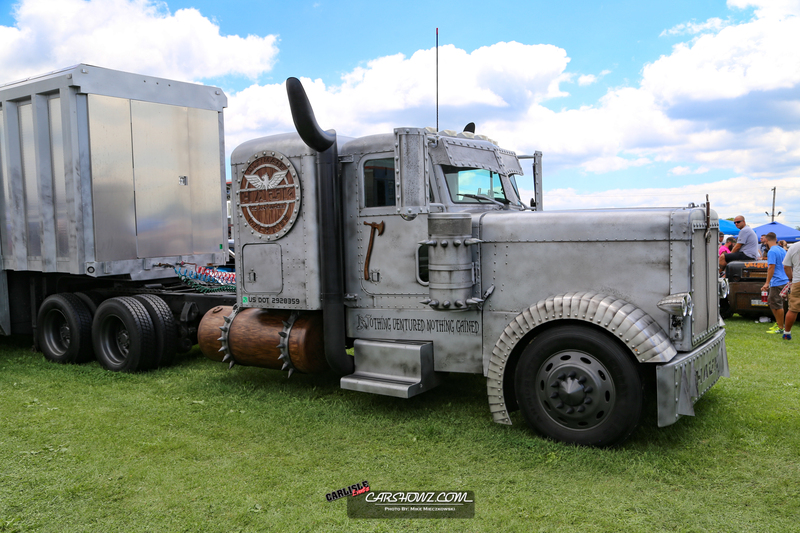 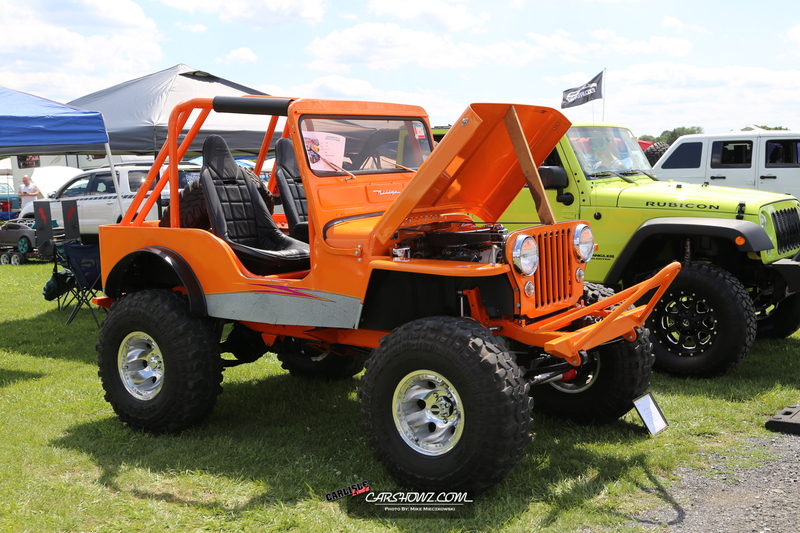 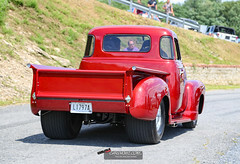 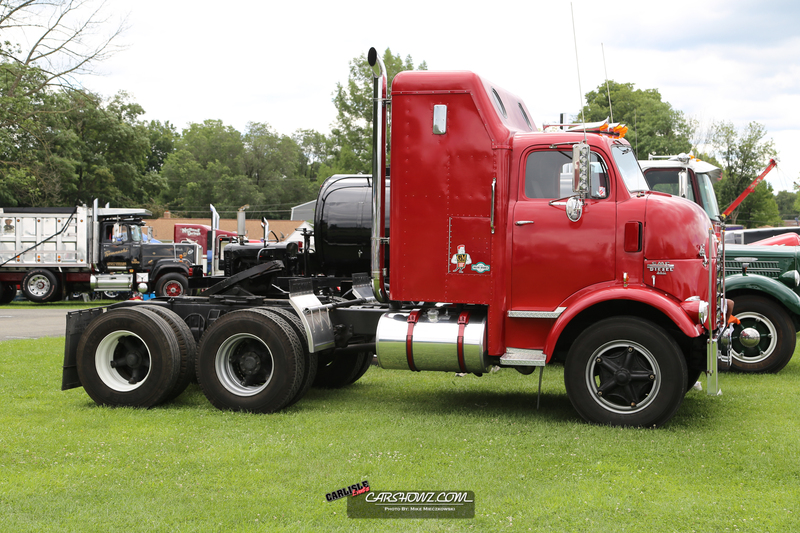 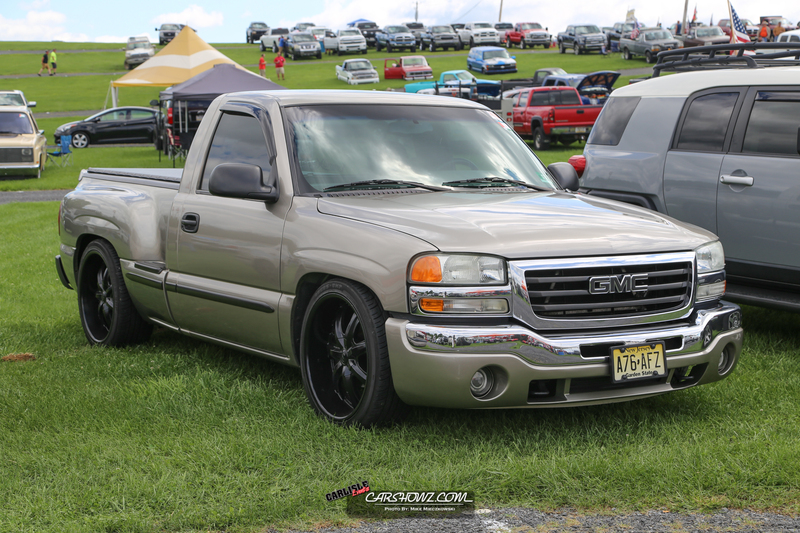 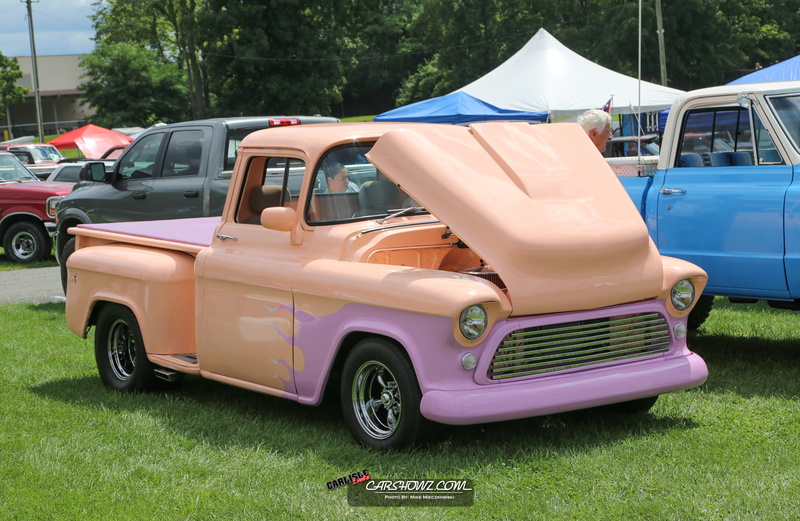 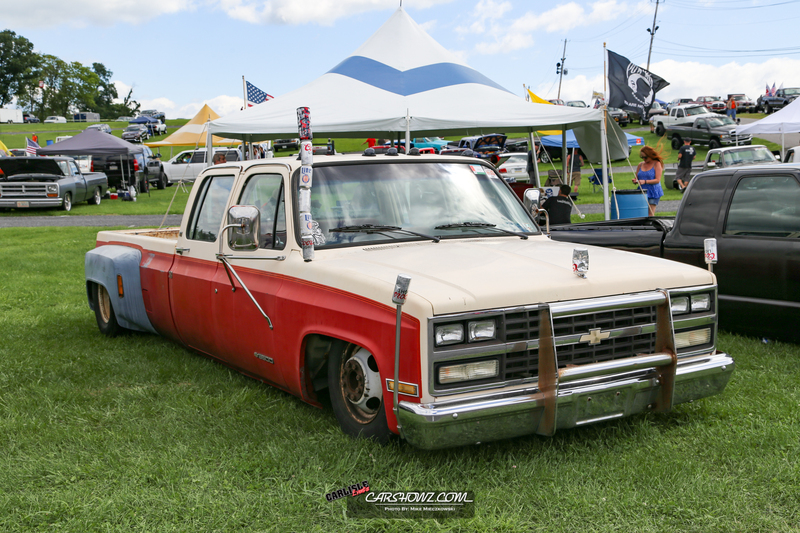 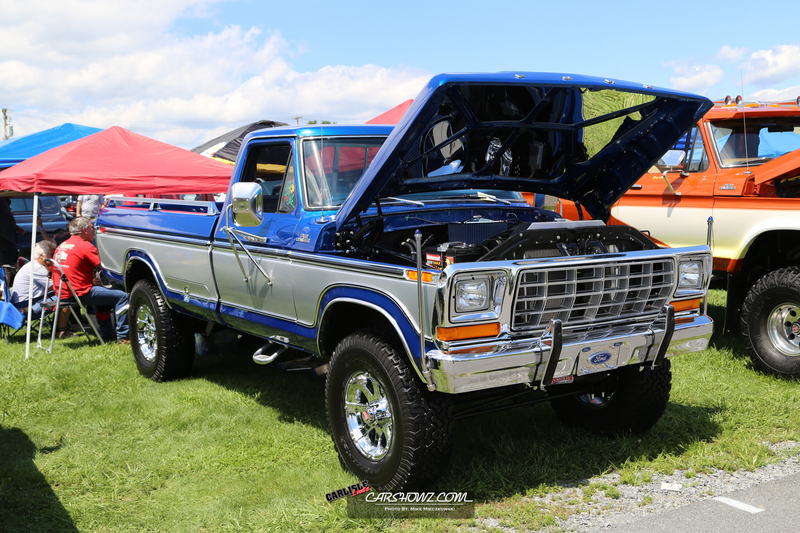 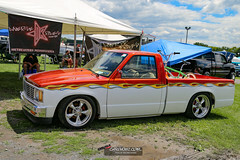 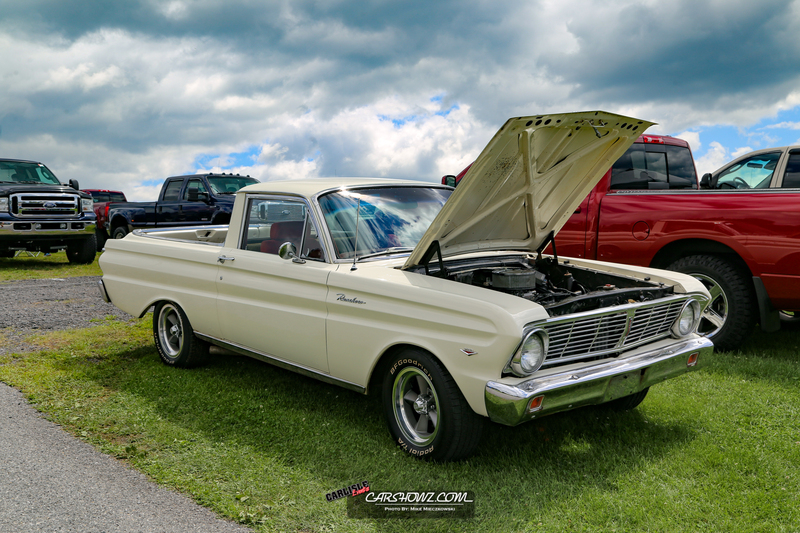 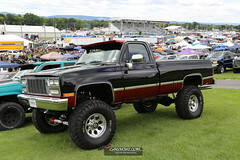 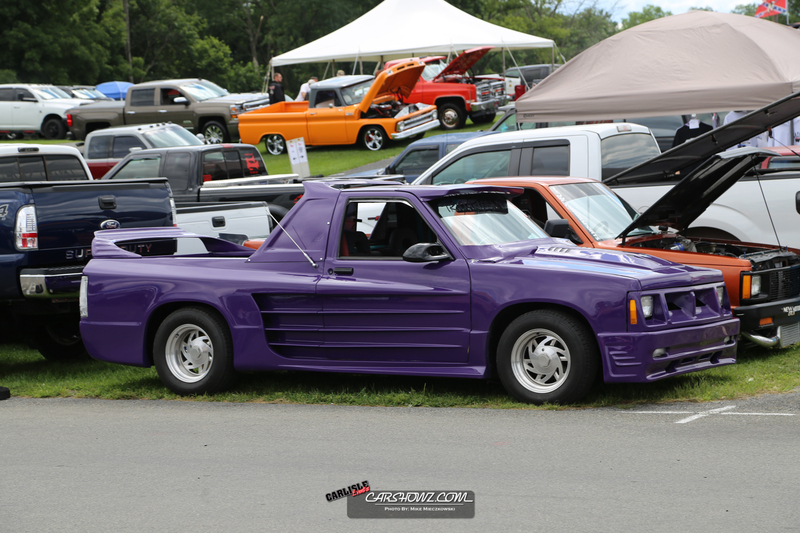 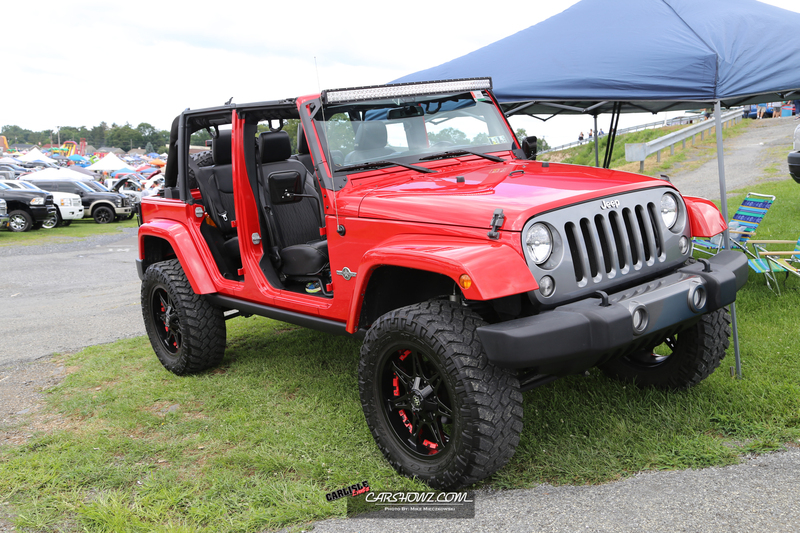 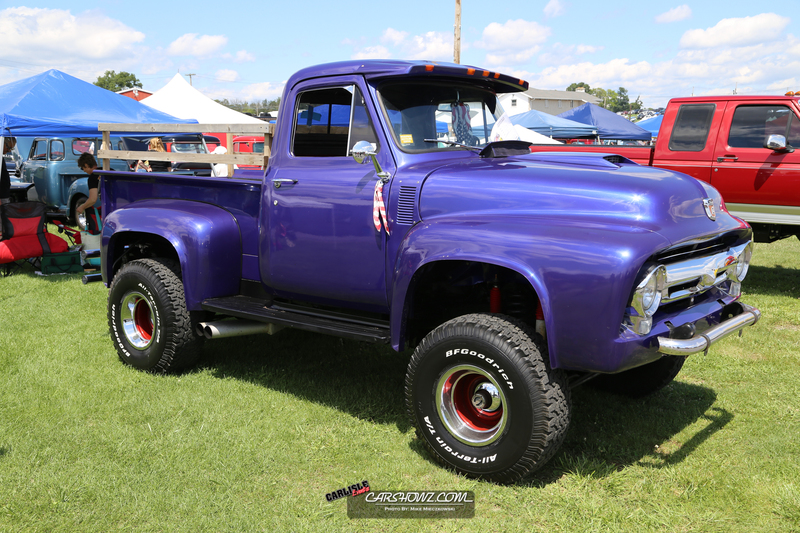 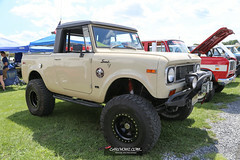 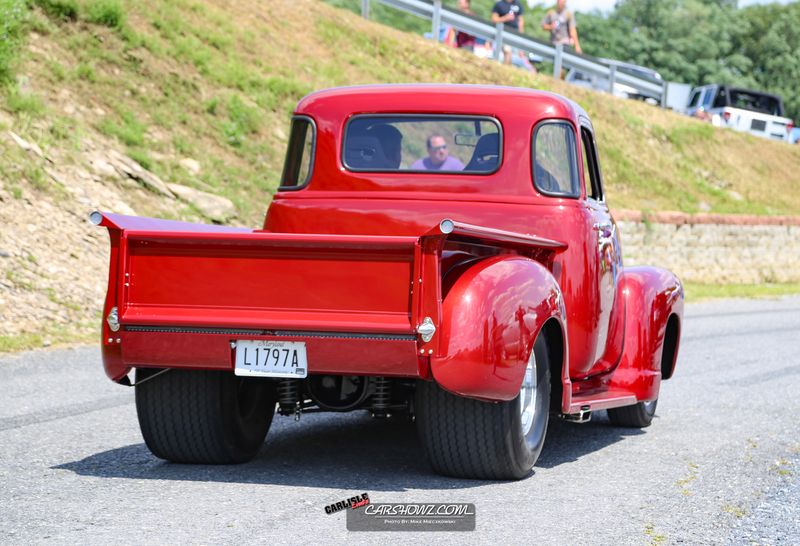 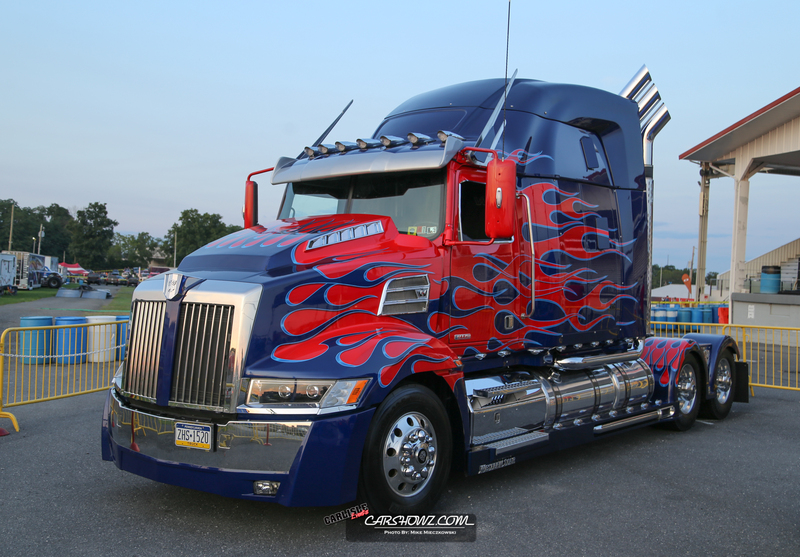 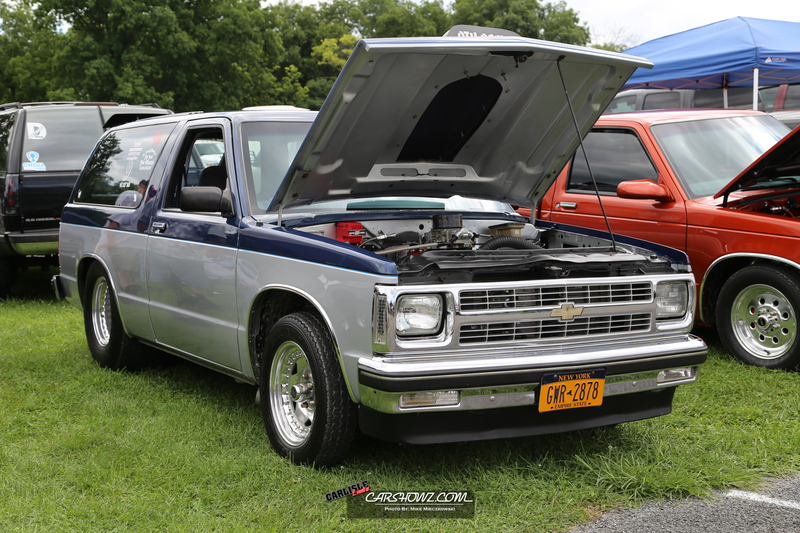 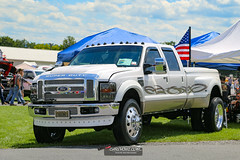 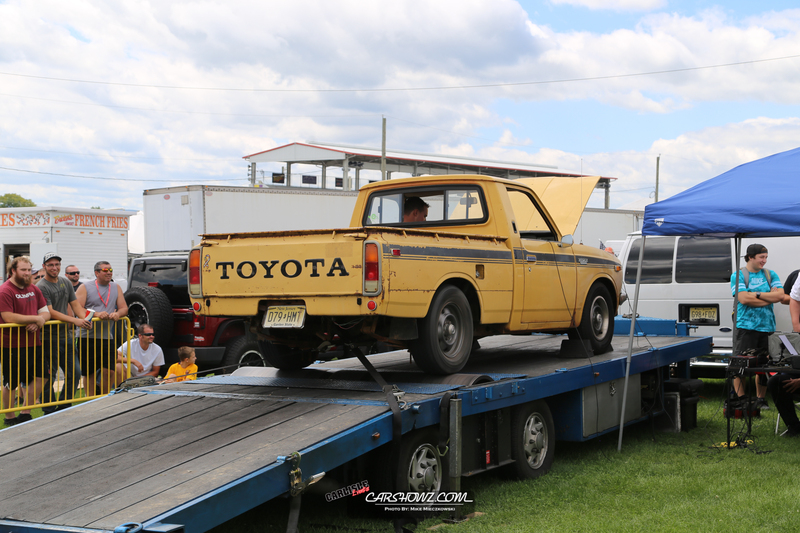 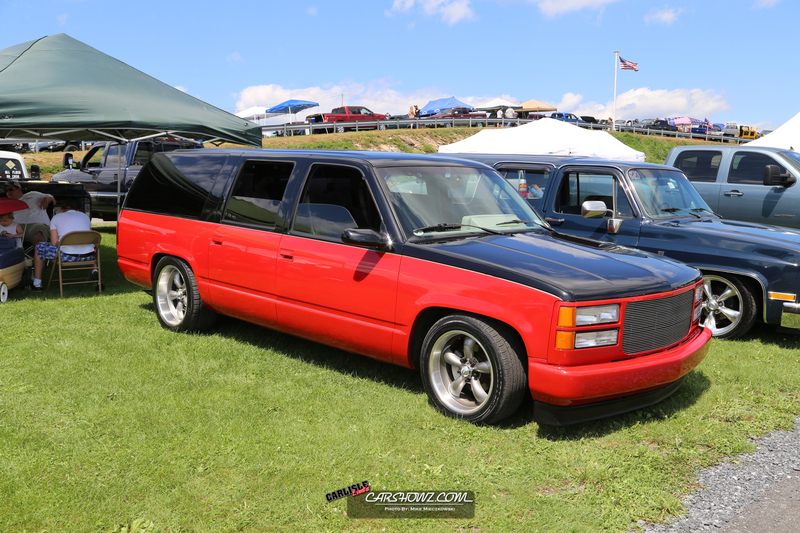 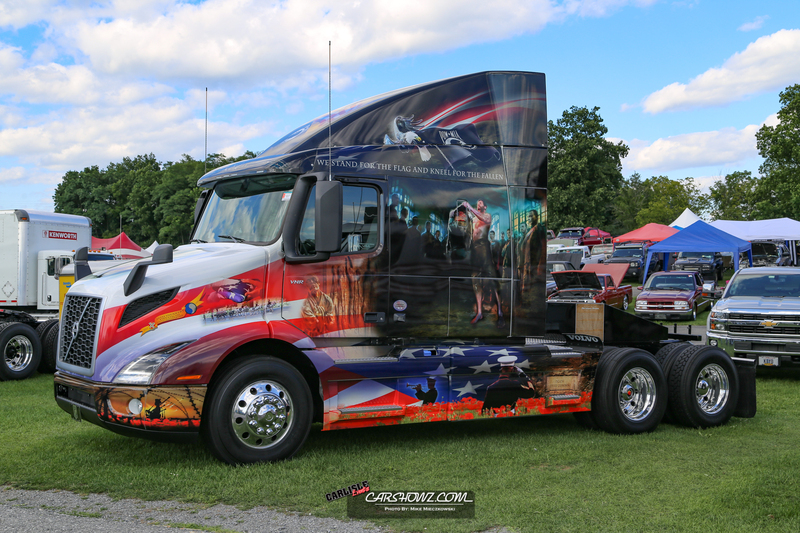 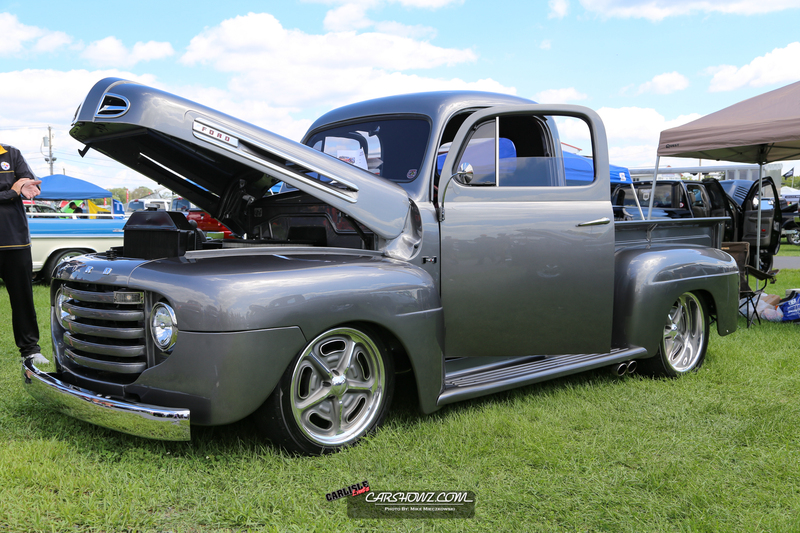 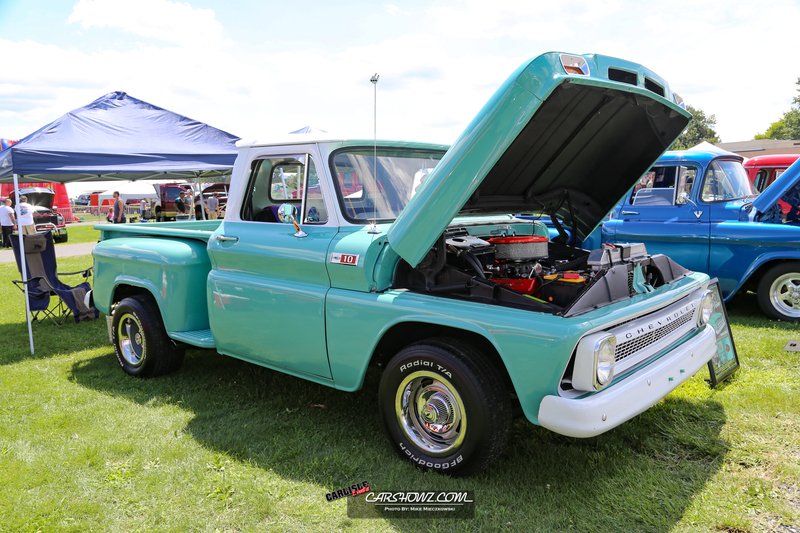 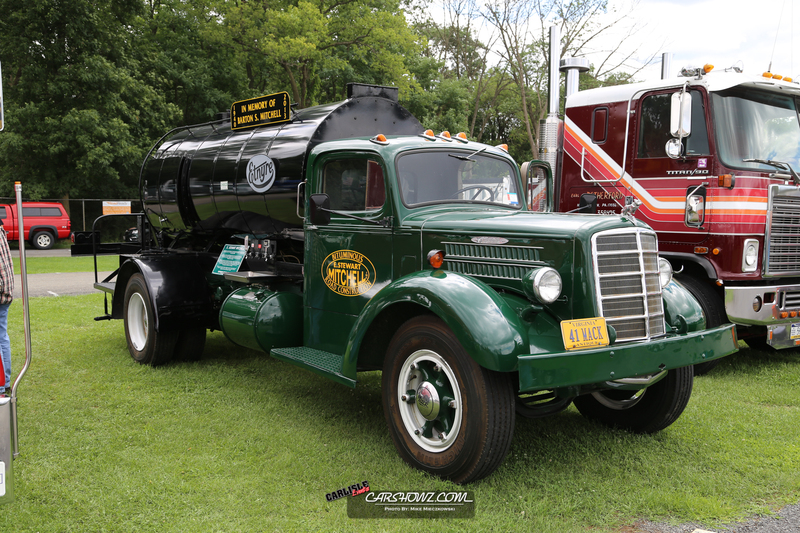 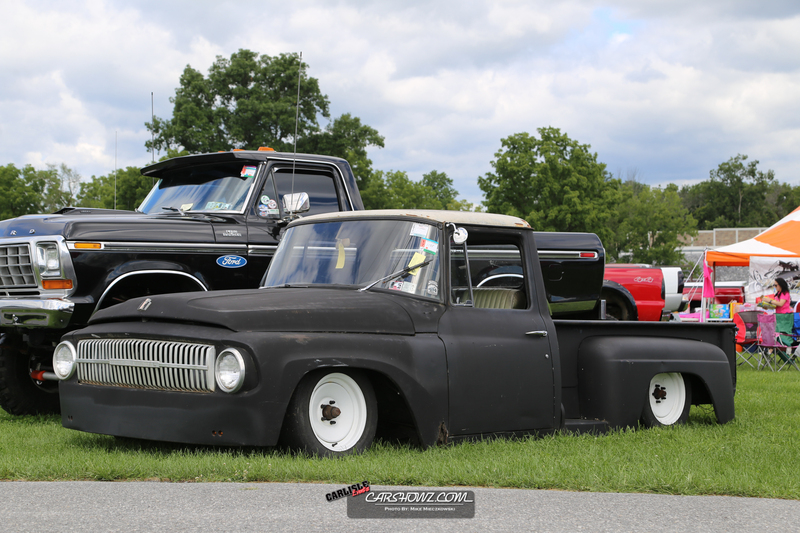 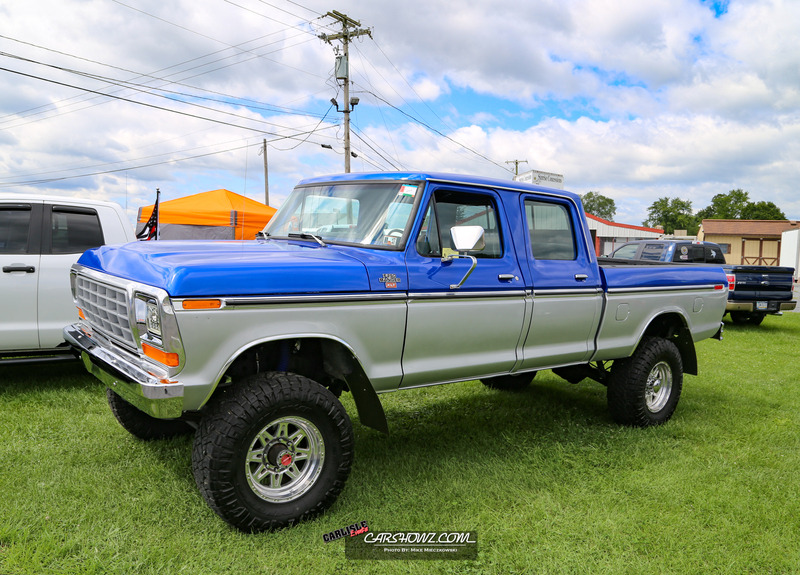 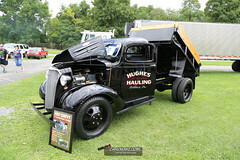 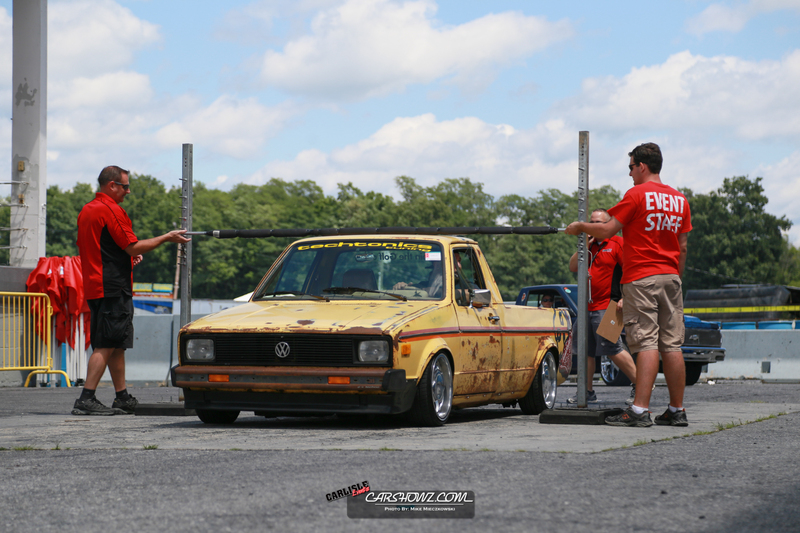 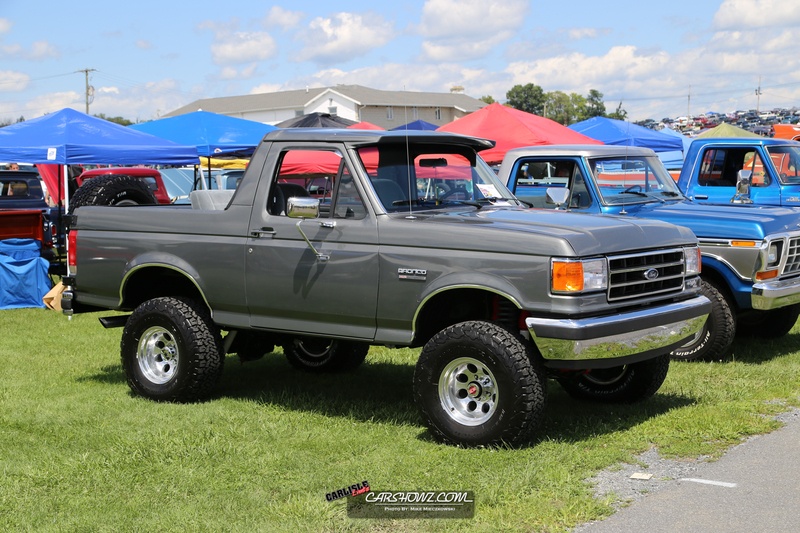 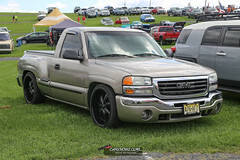 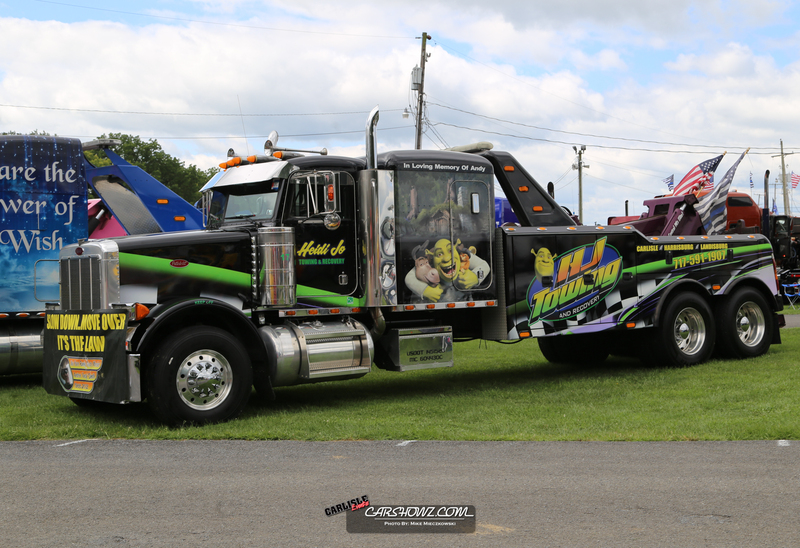 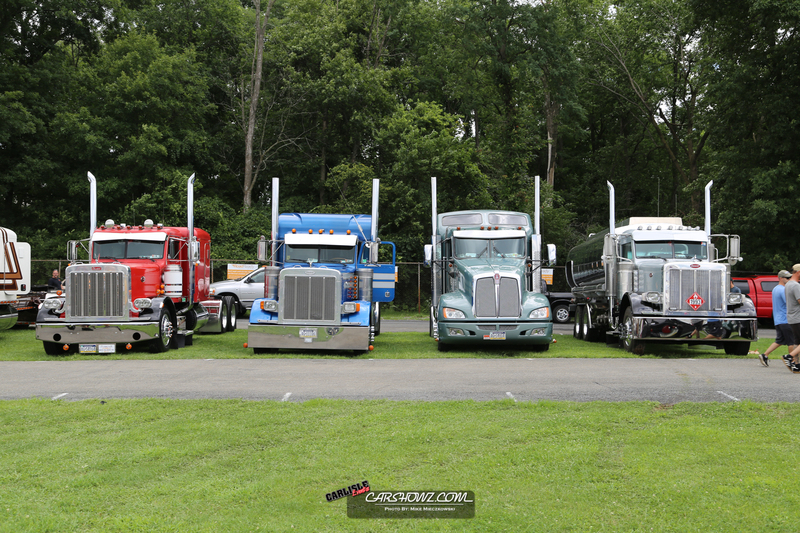 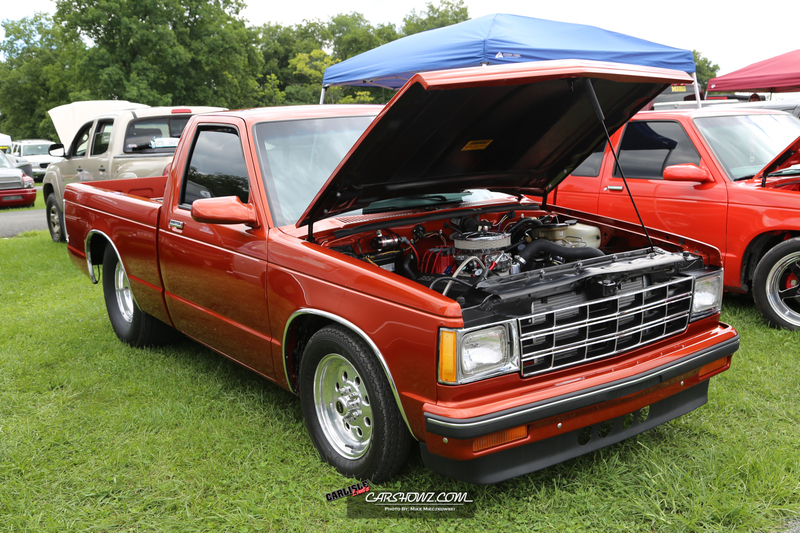 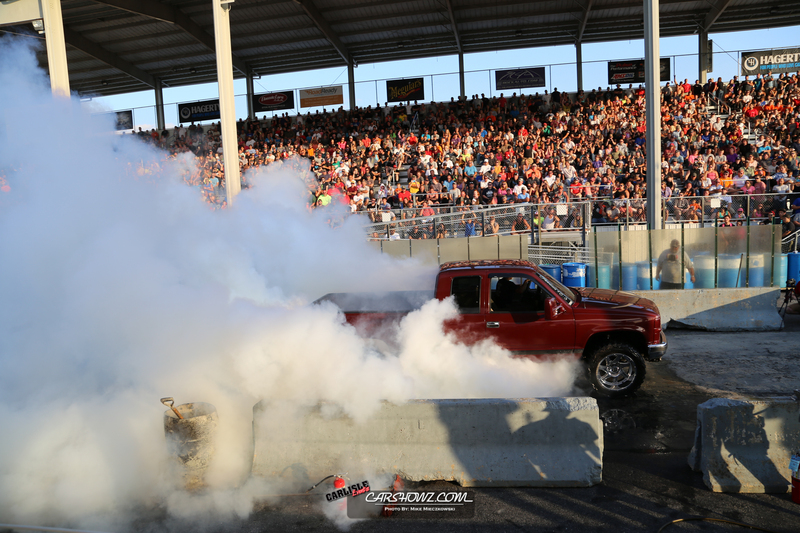 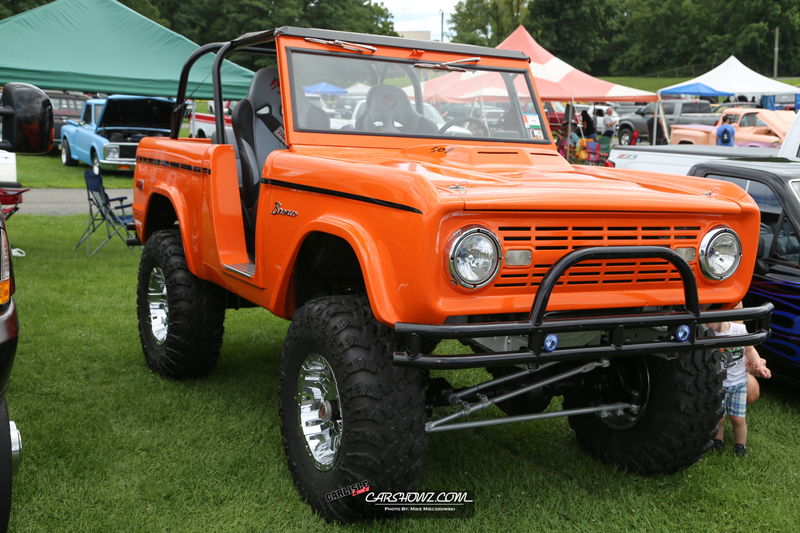 The Carlisle All Truck Nationals 2017 was back in Carlisle, PA for the 27th year. 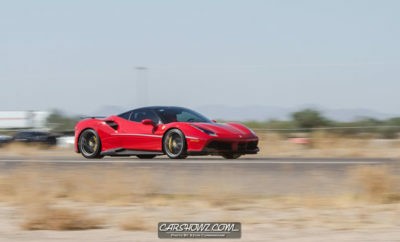 This year drew out crowds and participants in near record numbers. 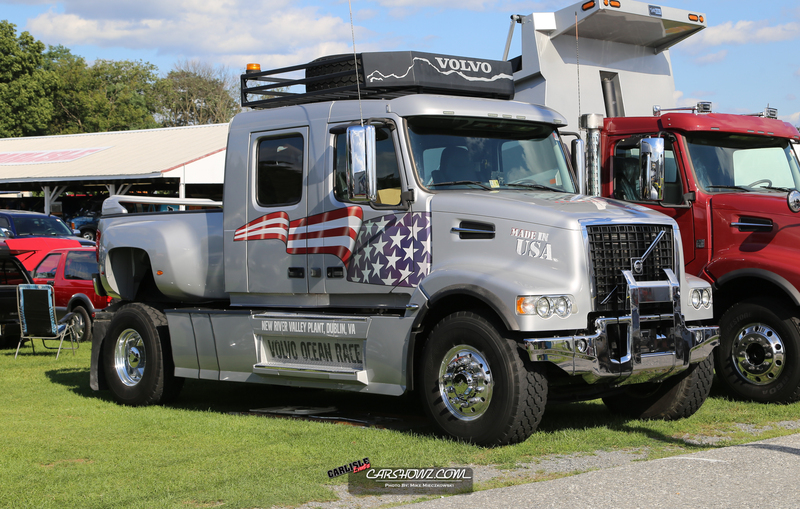 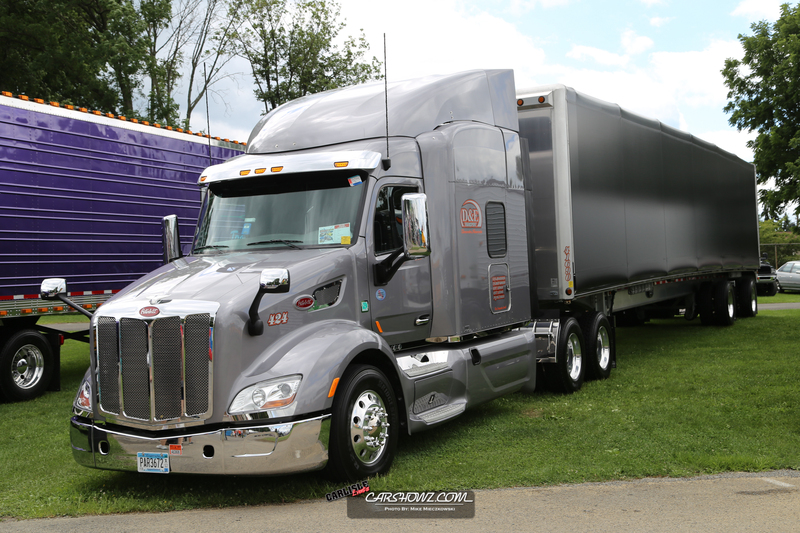 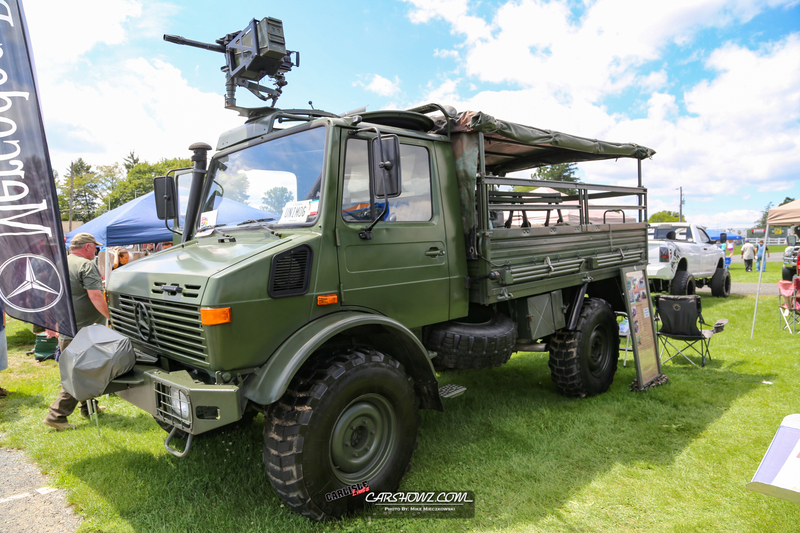 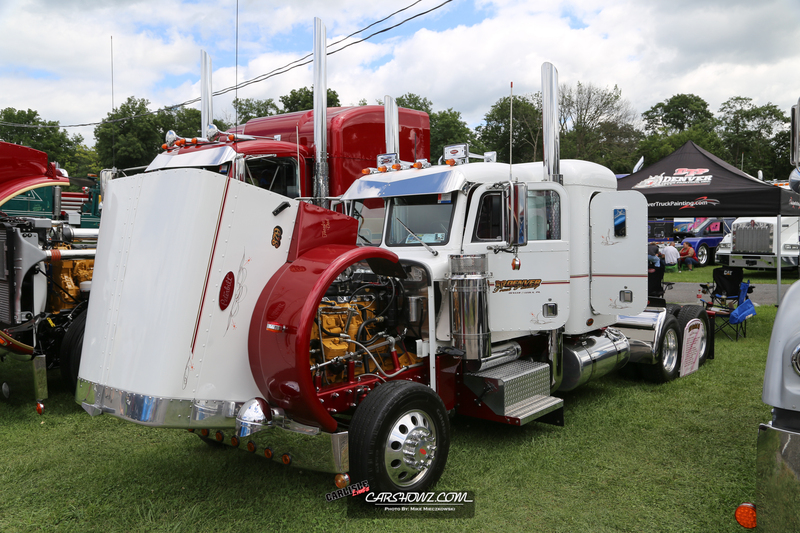 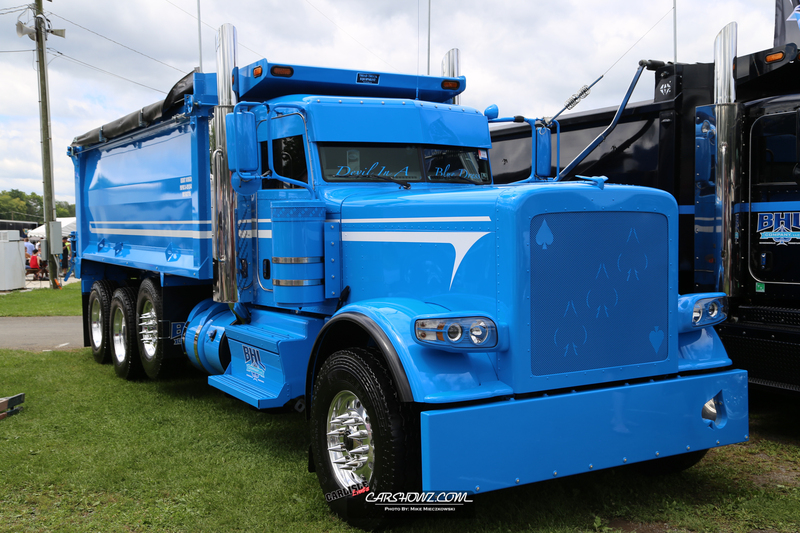 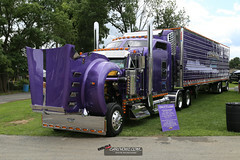 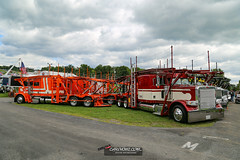 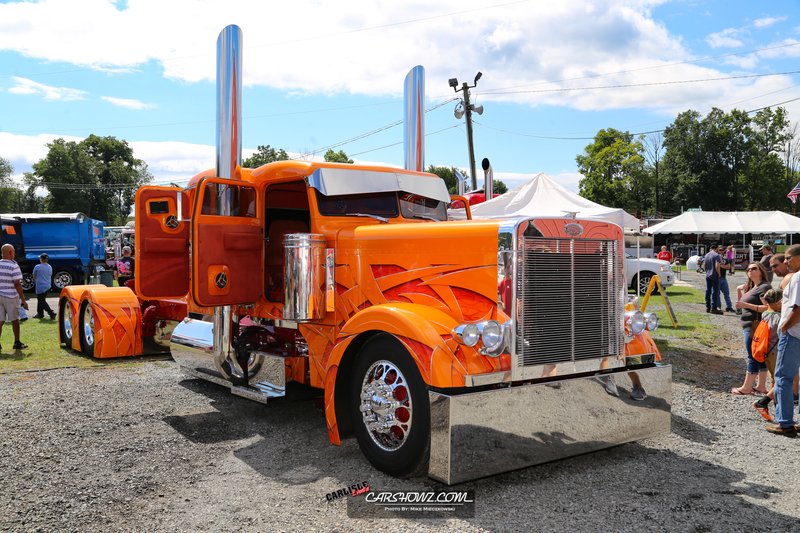 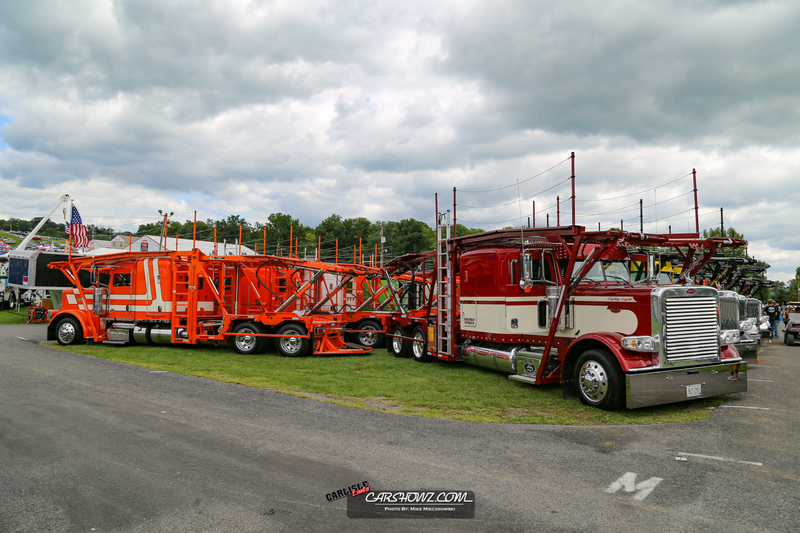 The 2017 event had nearly 1,700 trucks registered for the show fields which ranked in the Top 5 in the history of the show. I arrived on Friday from New Jersey and drove through a few small storms but, it was mostly sunny and warm when I arrived. 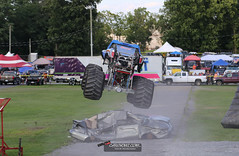 Friday night is when the skies opened up with torrential downpours that caused some flooding throughout the town and show area. By the time the gates opened on Saturday, the always amazing Carlisle Grounds Crew had the water pumped out and you could barely tell it rained hours before. 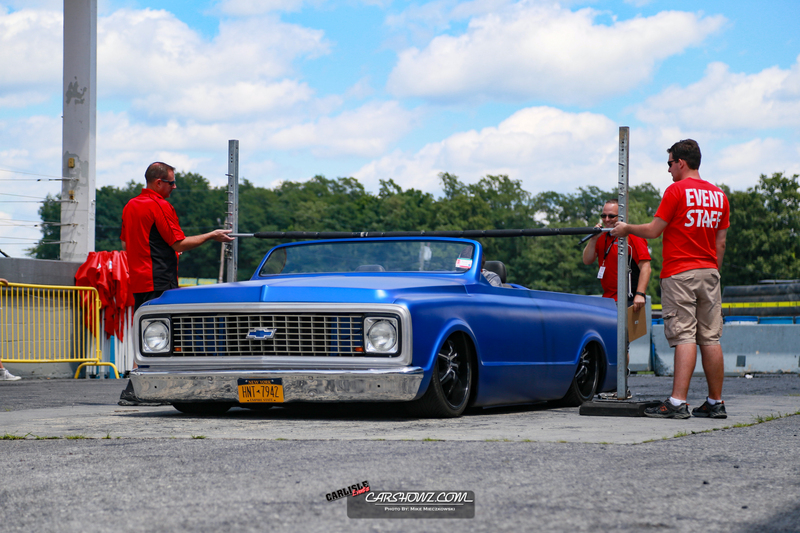 Speaking of the Carlisle Staff, they really do deserve a lot of credit for how well they run everything involved in this event. Saturday is always the main day for all Carlisle events. 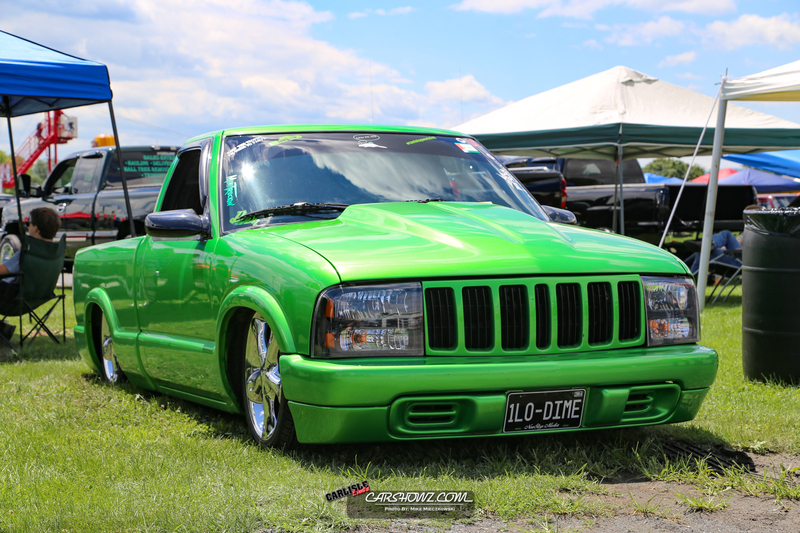 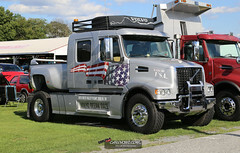 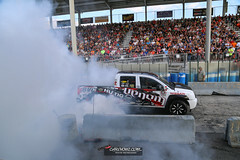 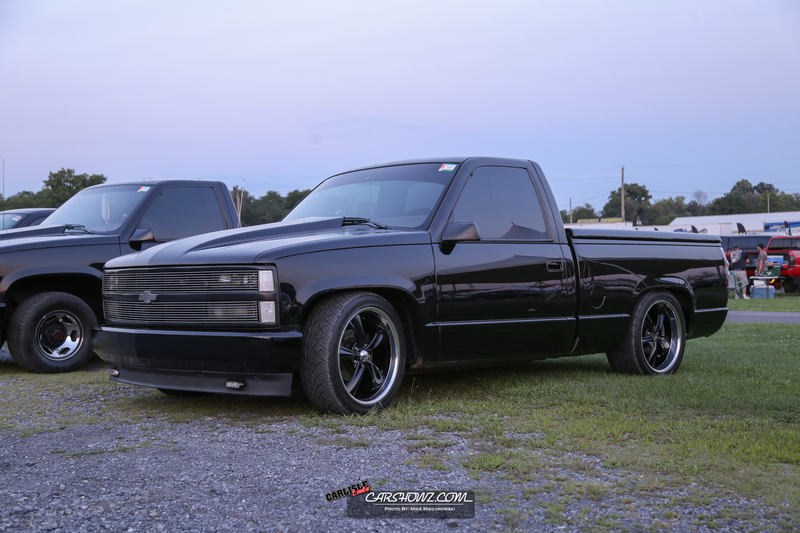 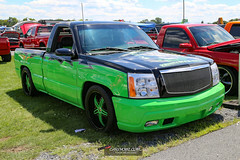 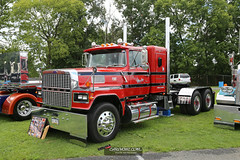 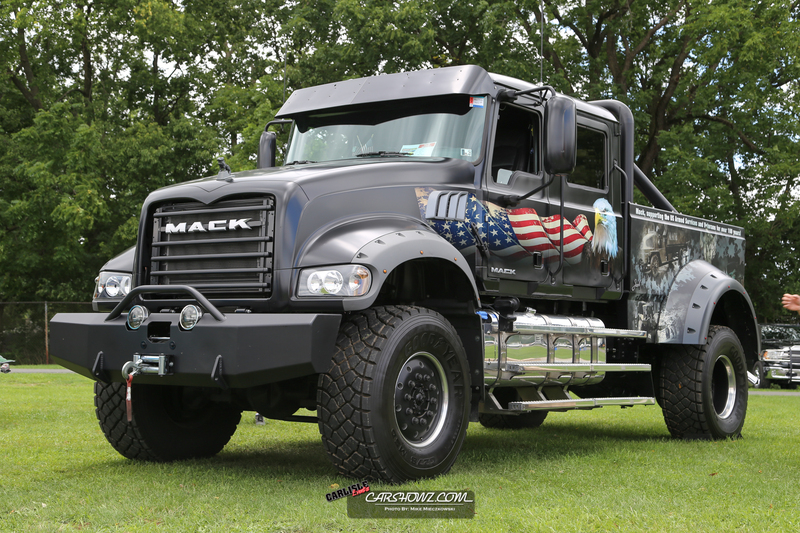 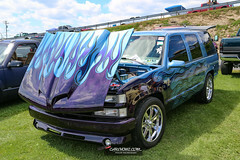 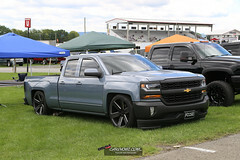 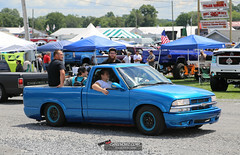 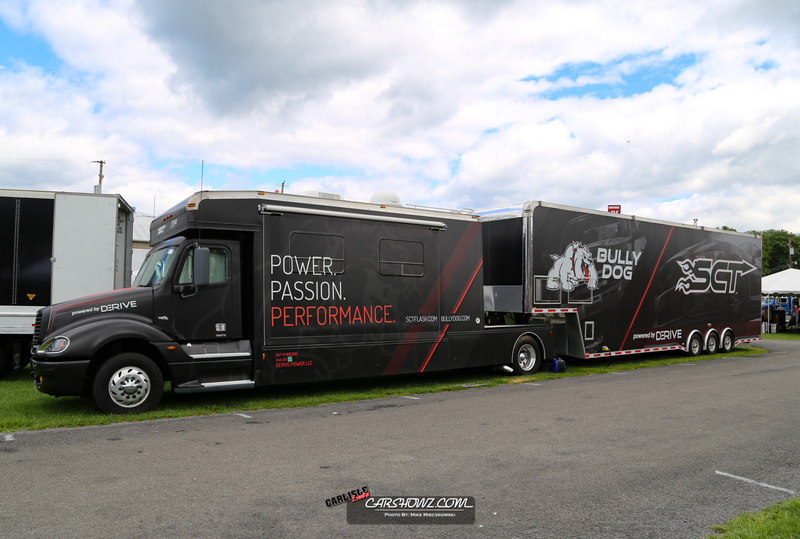 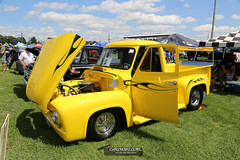 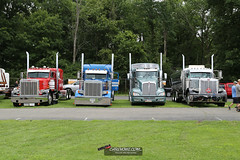 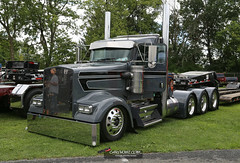 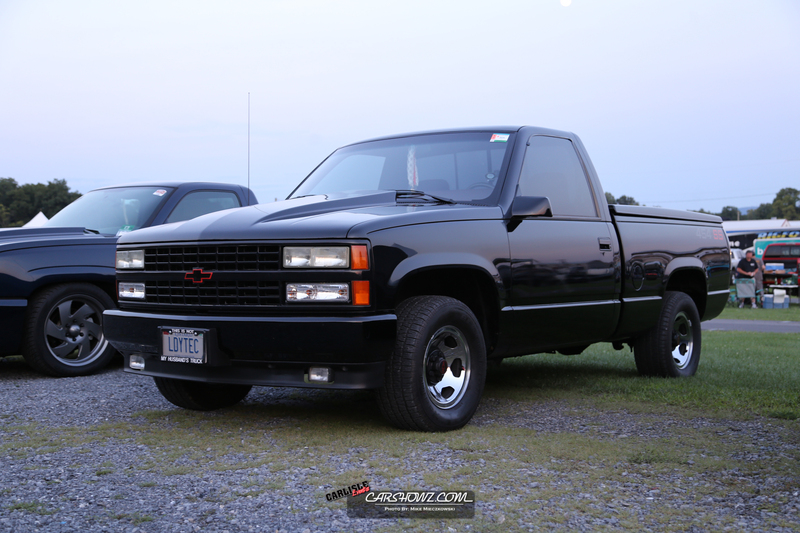 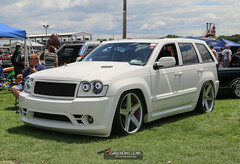 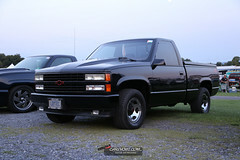 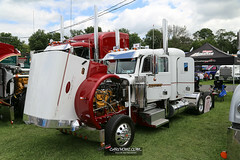 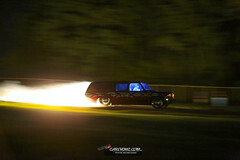 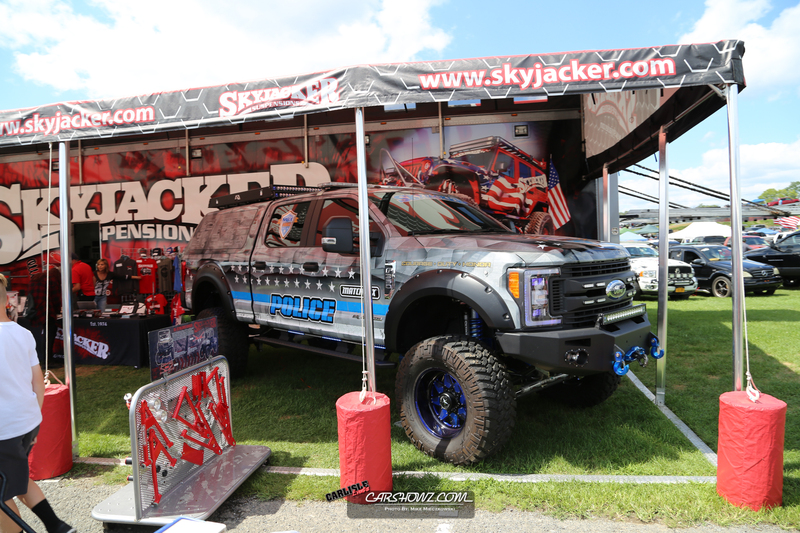 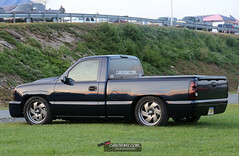 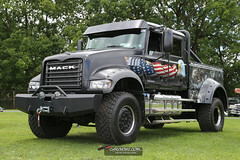 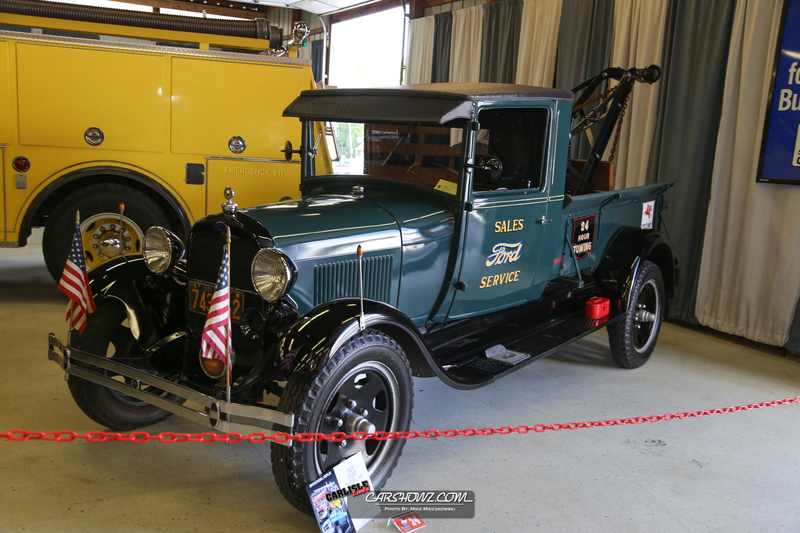 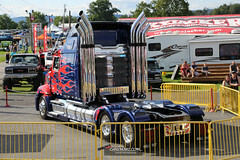 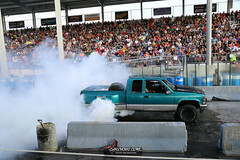 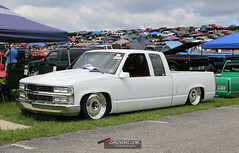 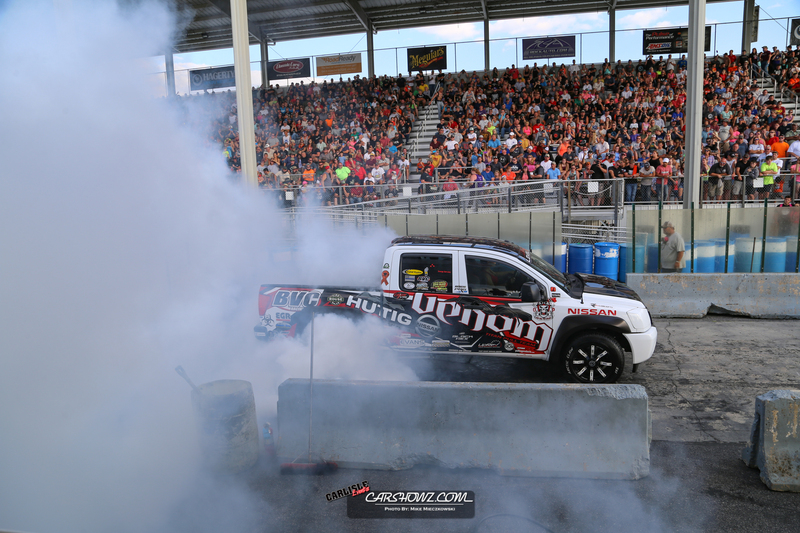 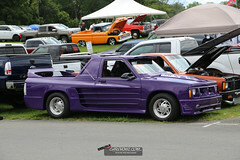 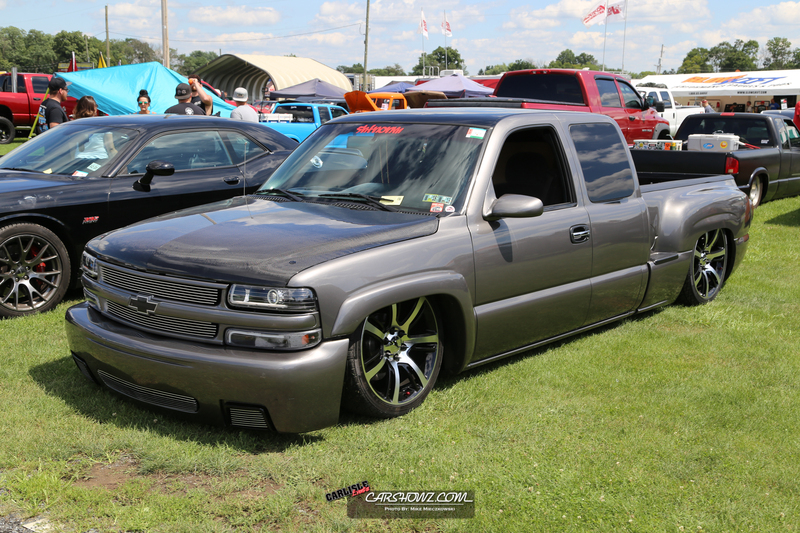 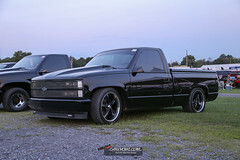 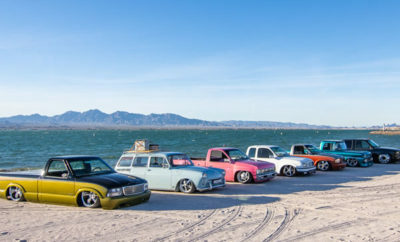 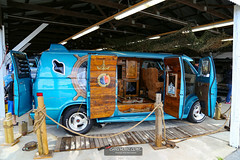 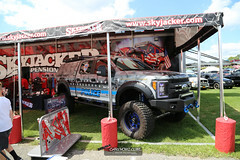 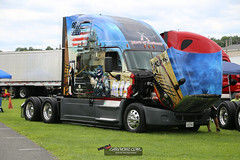 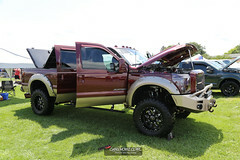 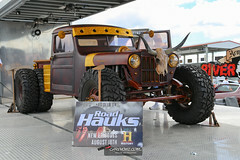 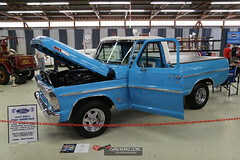 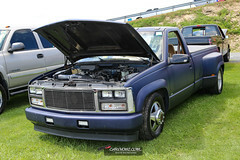 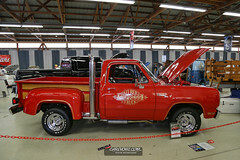 For the All Truck Nationals the day included events for everyone in attendance. 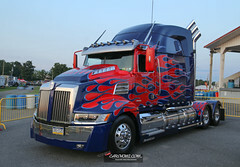 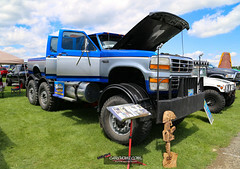 For the kids there was a Replica Optimus Prime Big Rig, K-9 Frisbee displays and the Phantom Fun Zone with the mobile zip line and other activities. 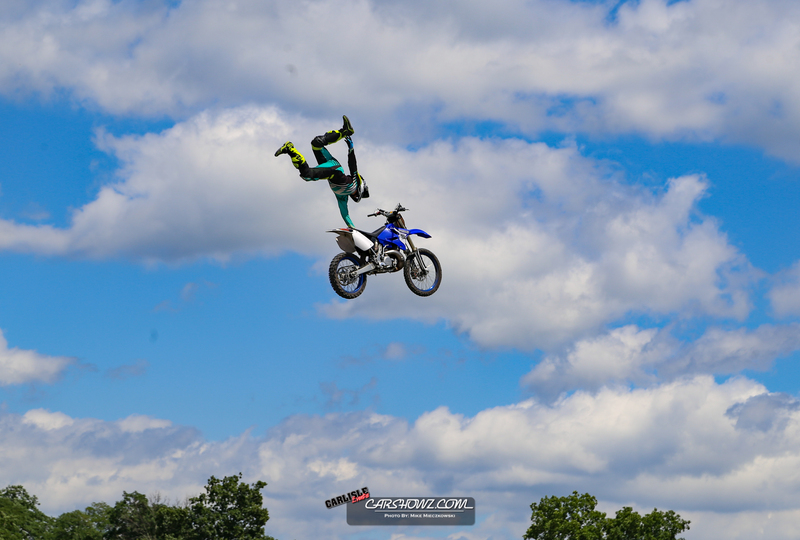 The weather could not have been more perfect to enjoy everything onsite with a few clouds in the sky and temps in the upper 70s. 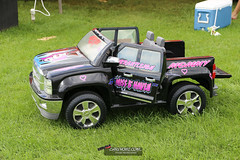 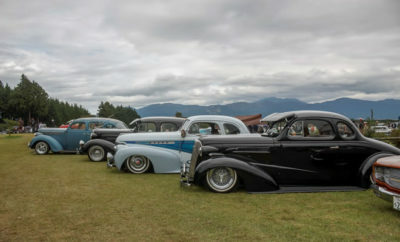 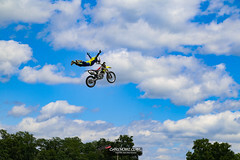 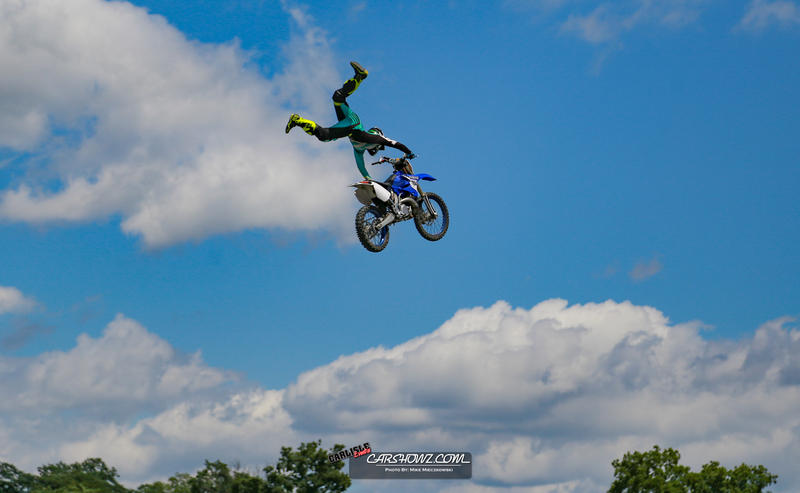 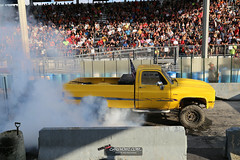 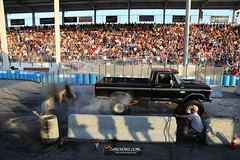 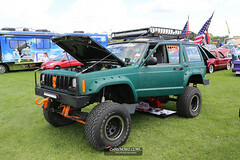 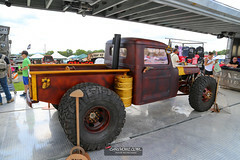 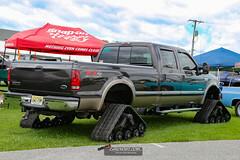 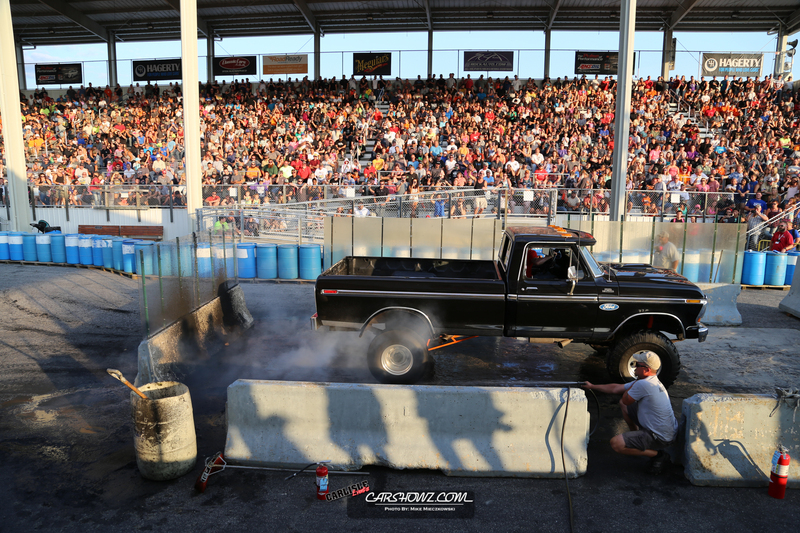 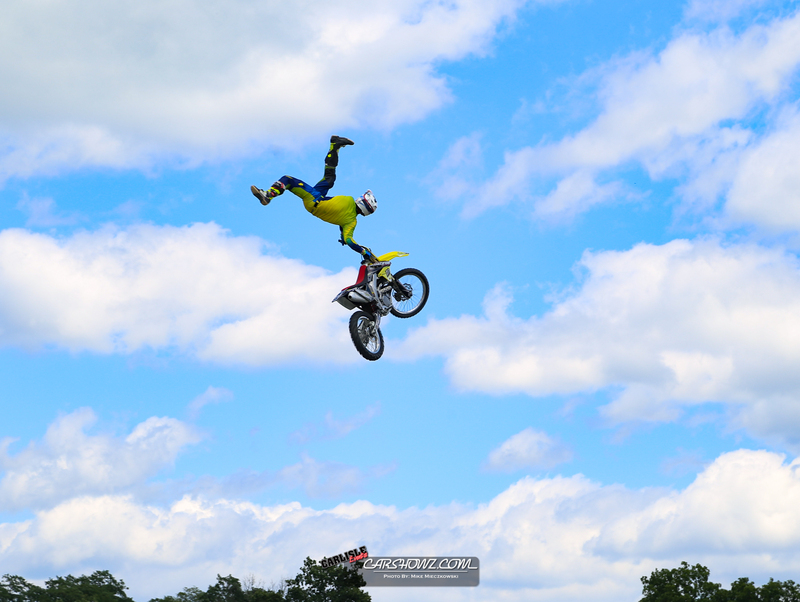 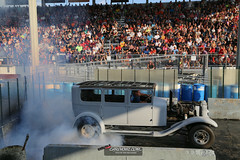 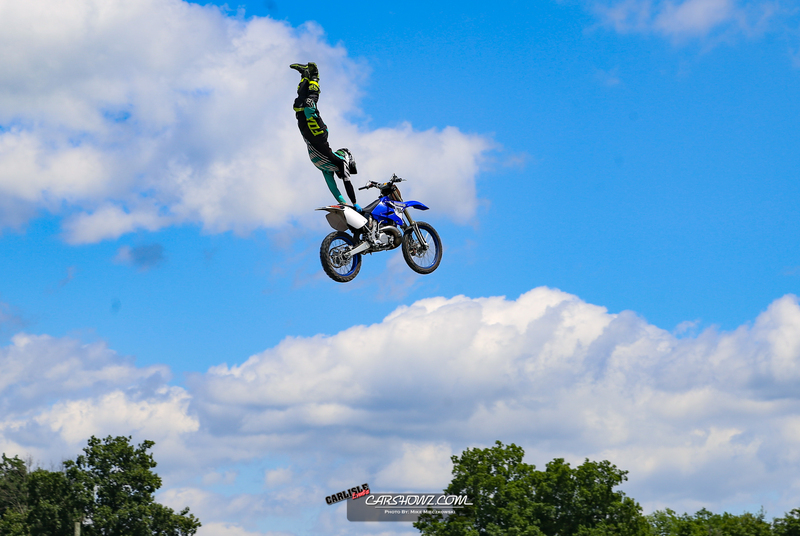 The headline events at and around the main stage included both high and low truck competitions, Freestyle FMX riders and Monster Trucks, a burnout completion and Bikini Contest. 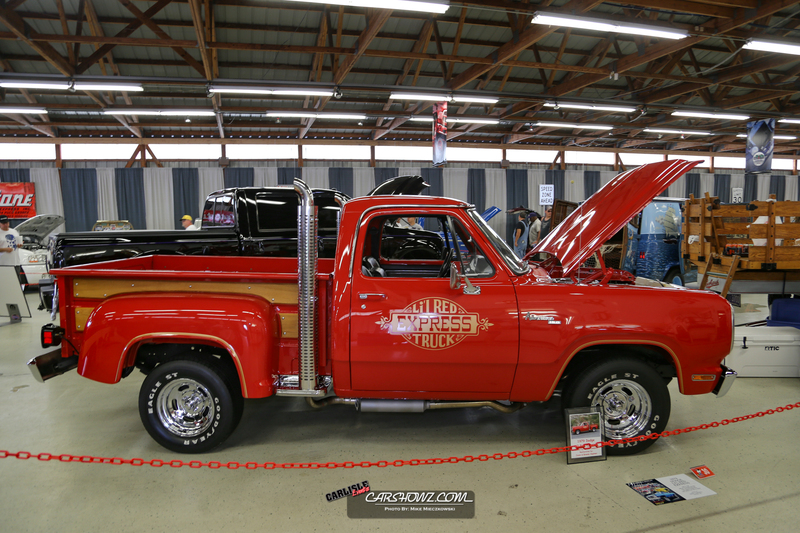 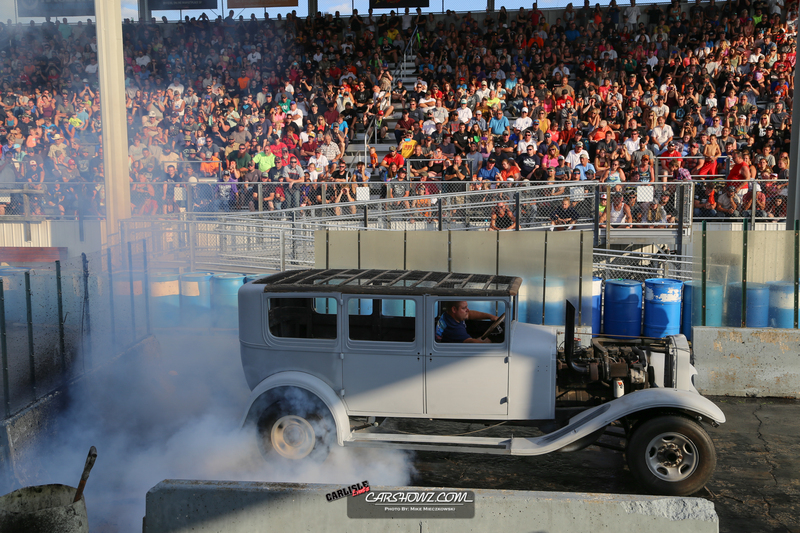 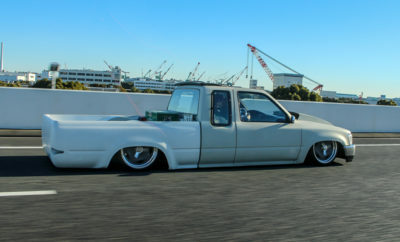 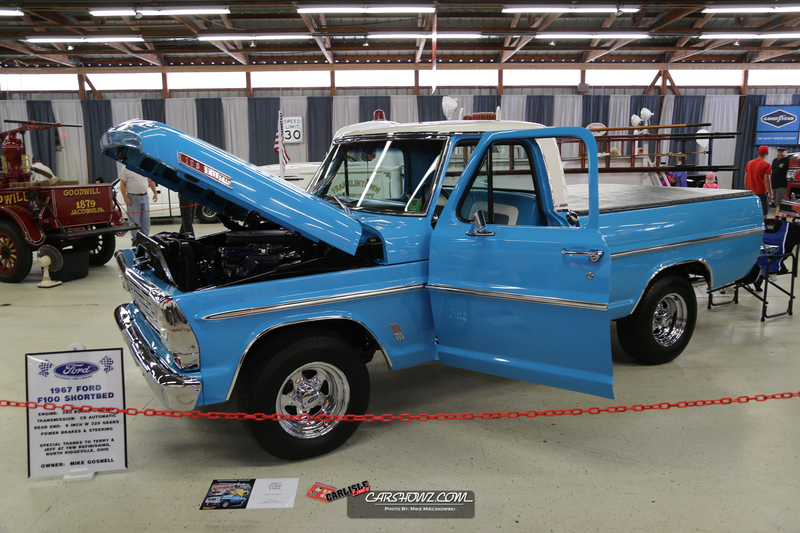 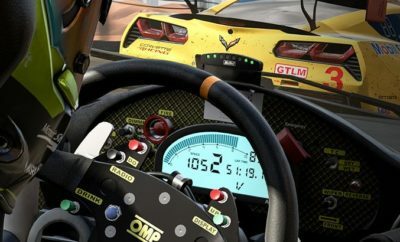 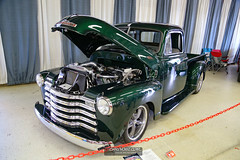 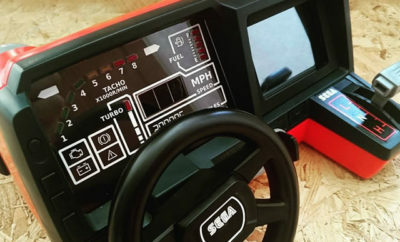 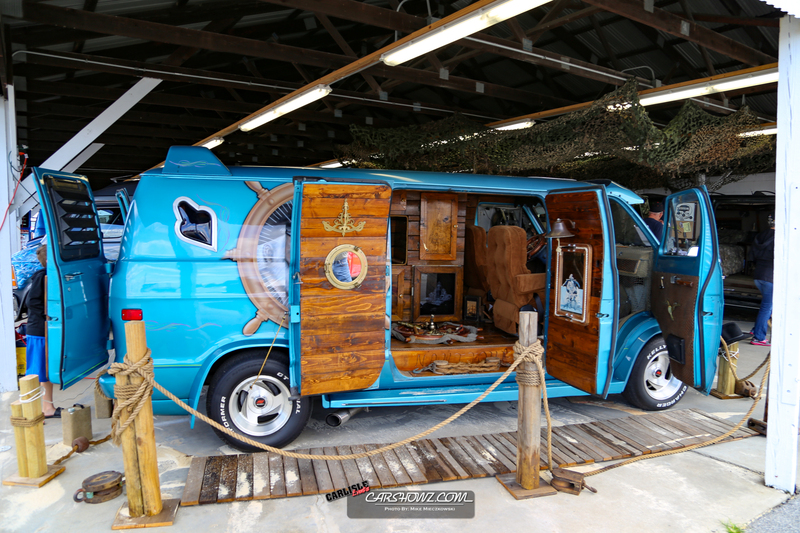 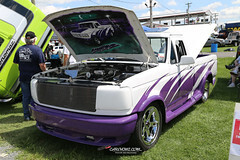 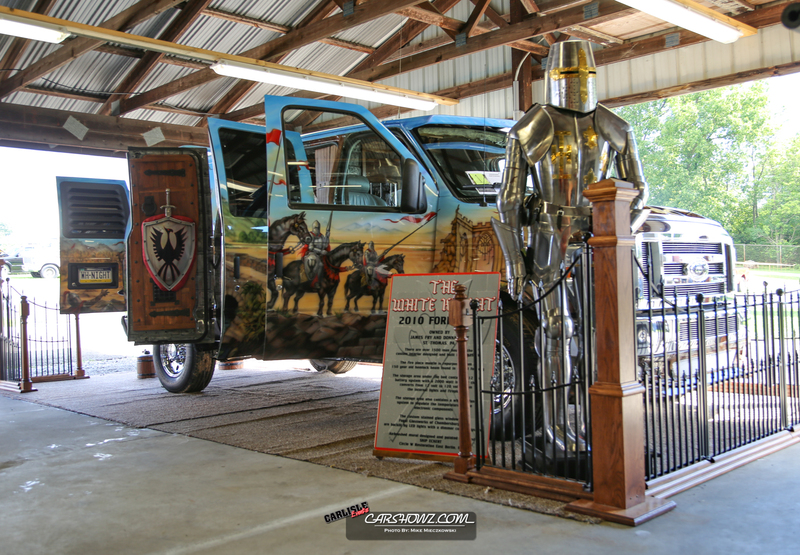 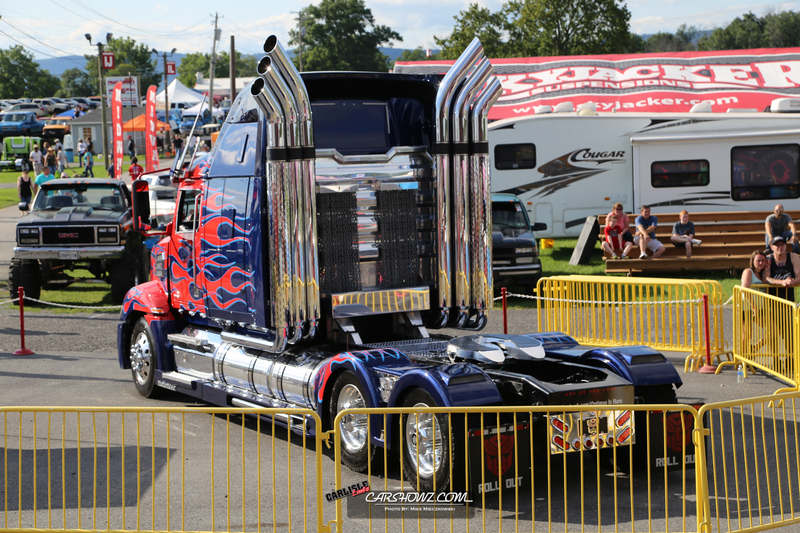 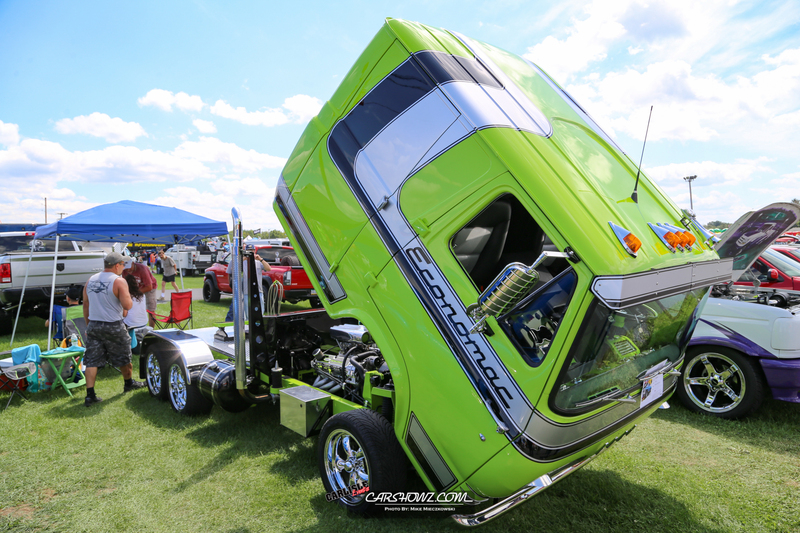 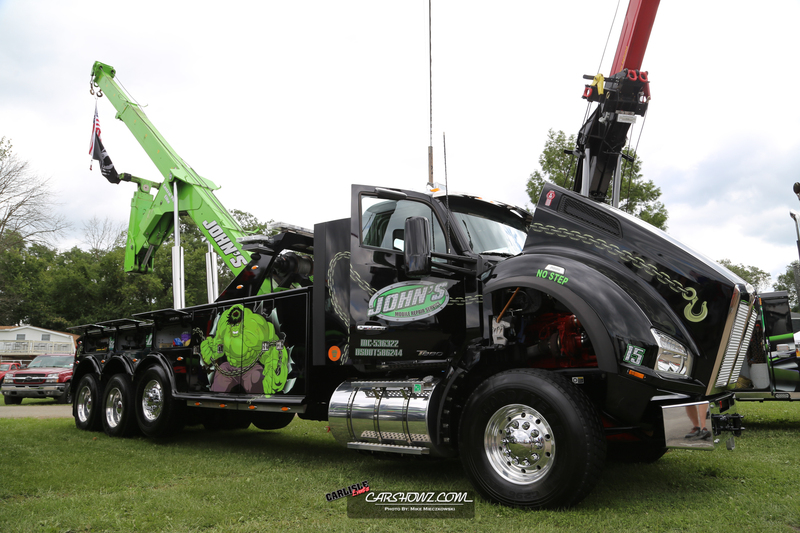 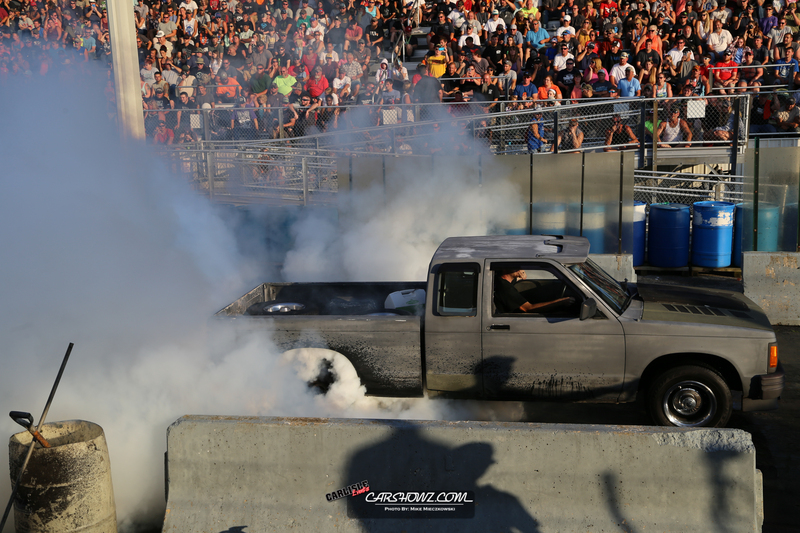 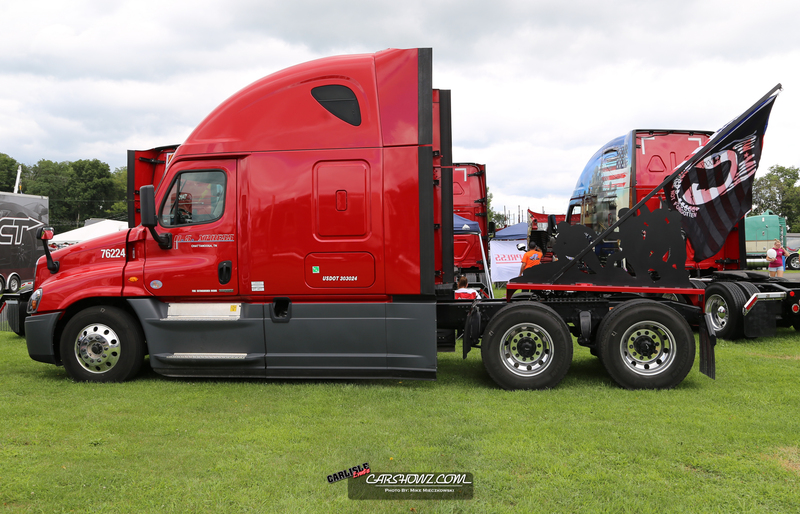 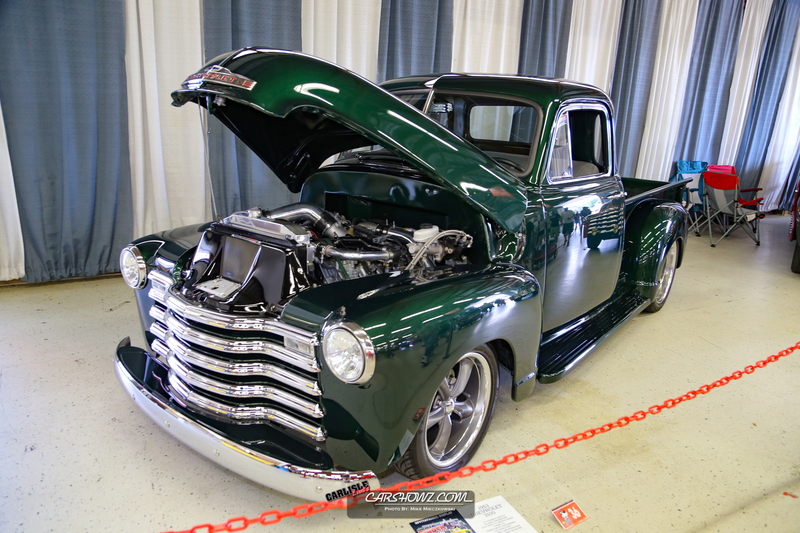 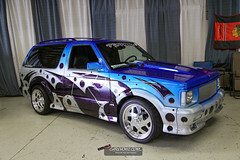 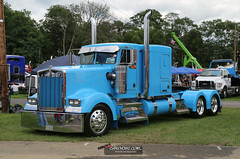 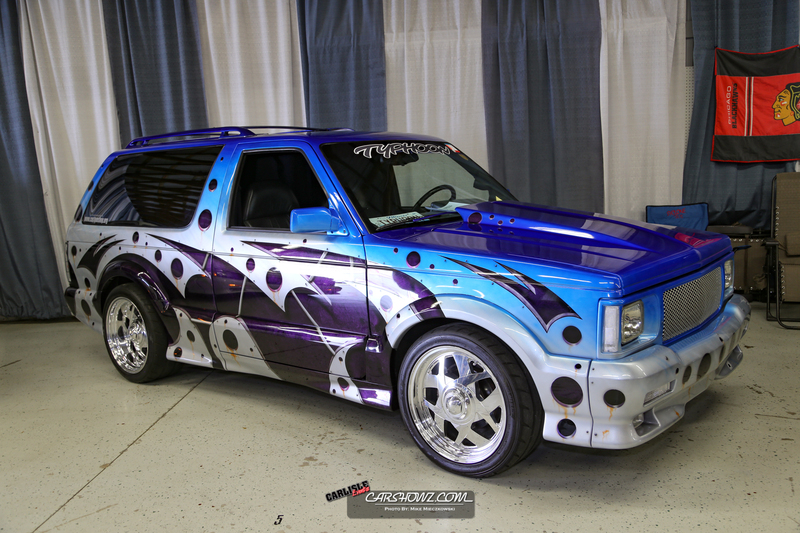 In between the headline events you could check out the thousands of trucks in attendance or maybe take in the wide variety of Big Rigs, tricked out vans in “Vanarama” and the invitational displays. It really is hard to be bored at a Carlisle event. It’s hard to list everything offered throughout the event as there was so much to do. 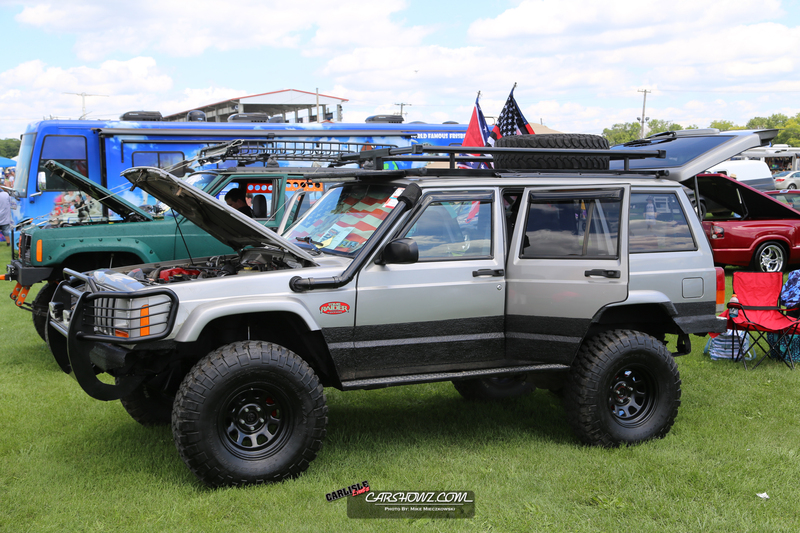 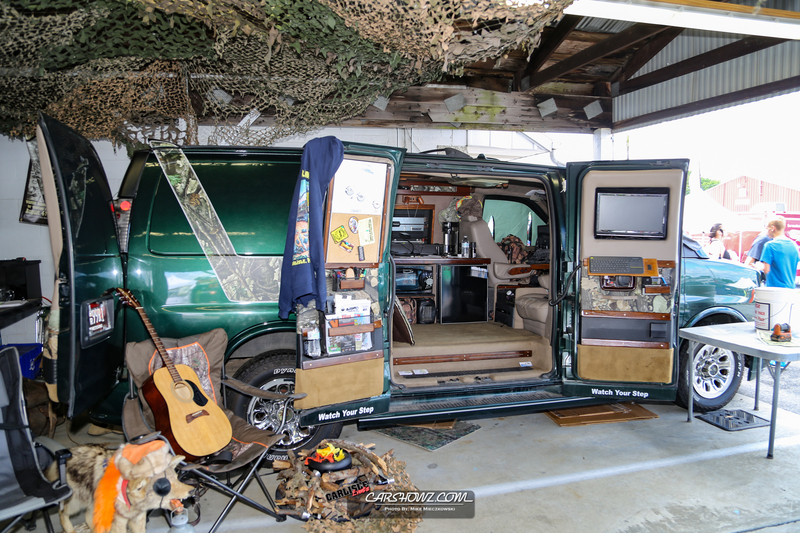 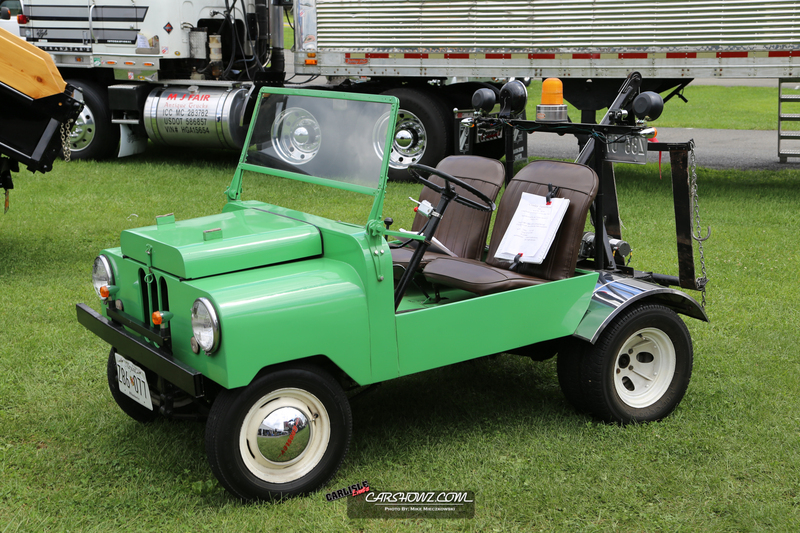 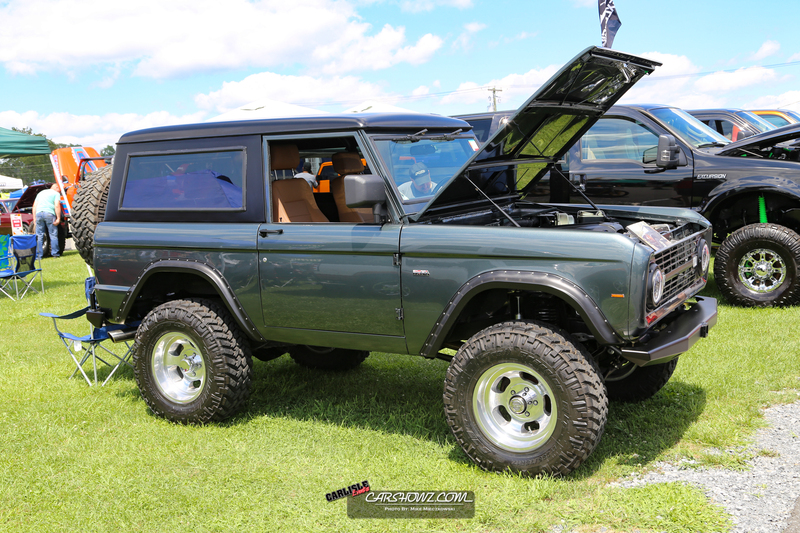 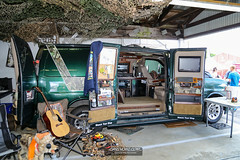 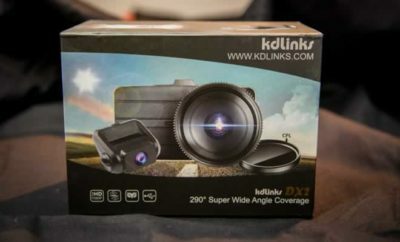 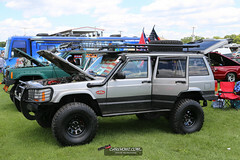 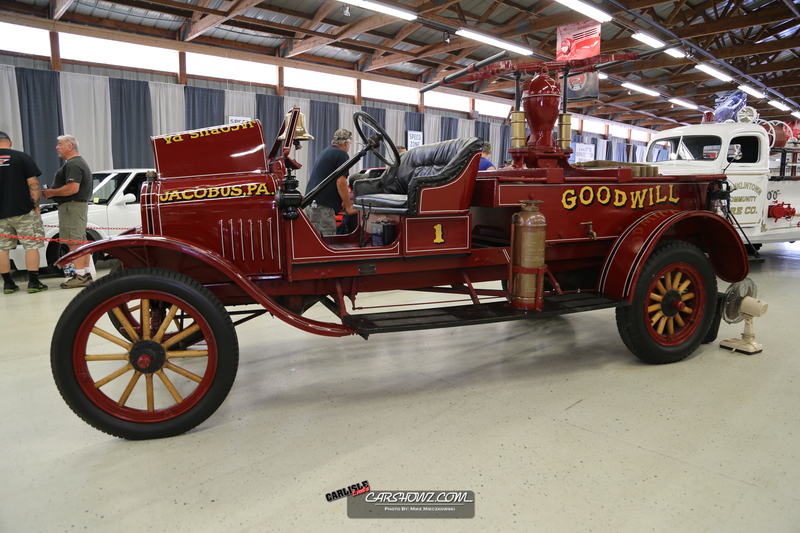 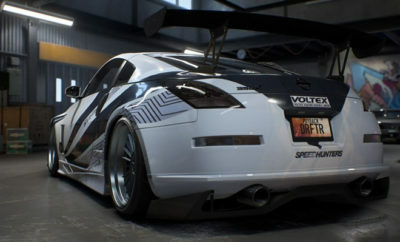 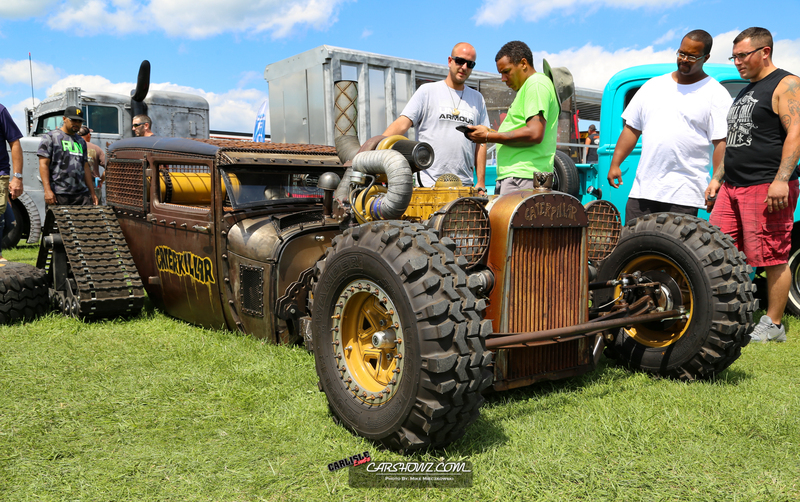 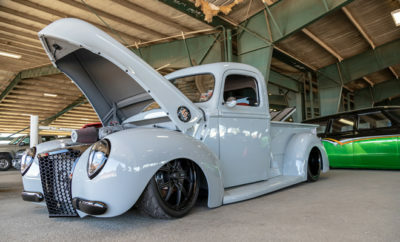 If you came to the event looking for parts then the Swap Meet and various vendors on the Manufacturers Midway were sure to have what you needed. Food and drink were in abundance all around the grounds at reasonable prices and is actually pretty good. 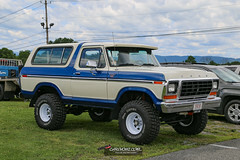 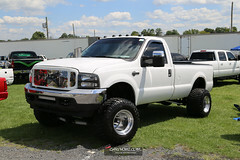 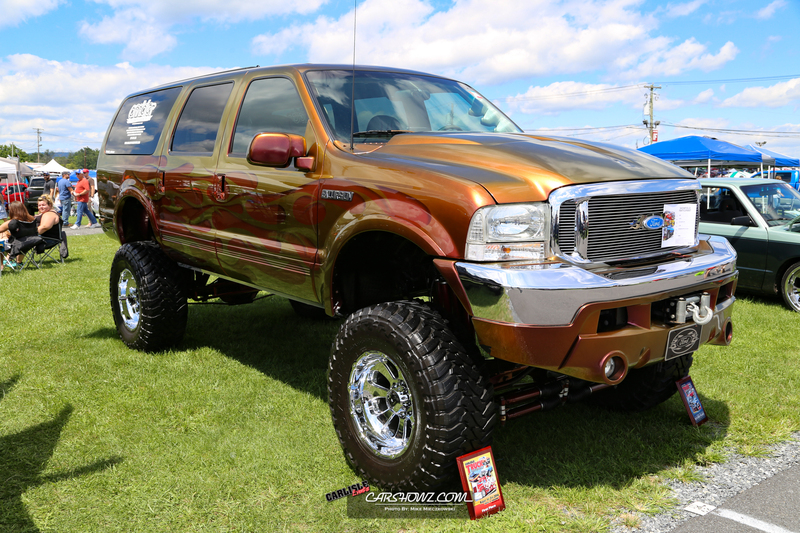 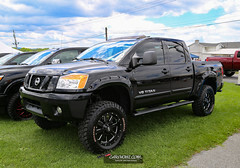 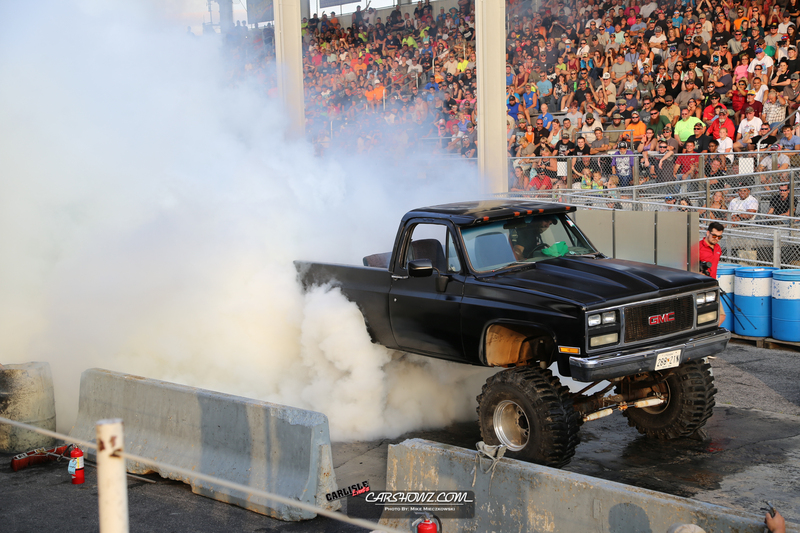 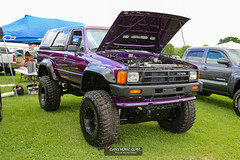 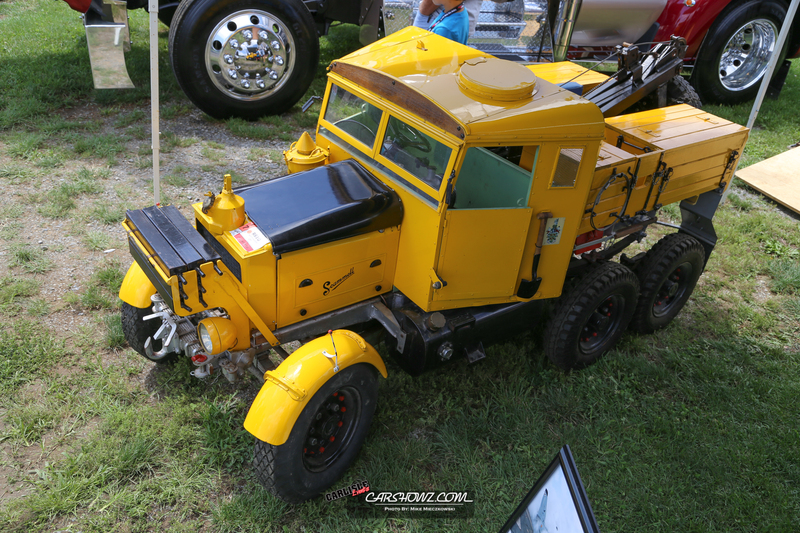 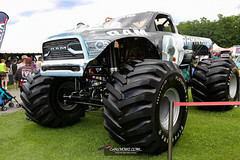 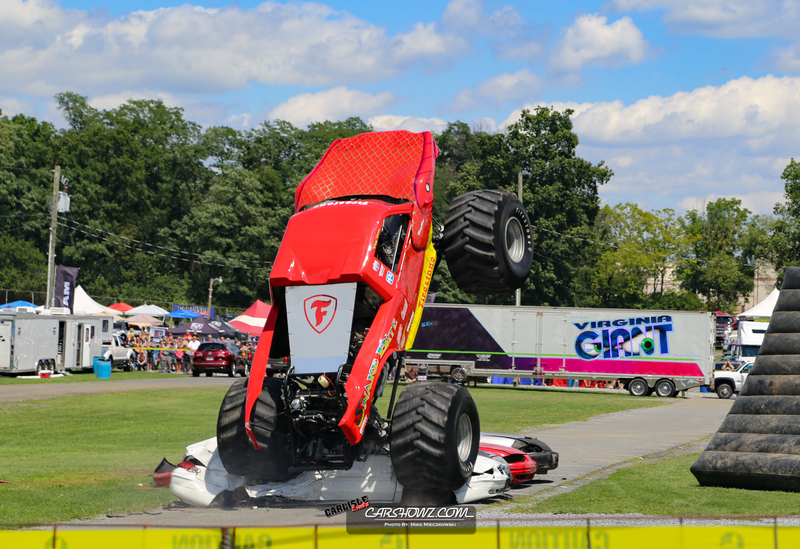 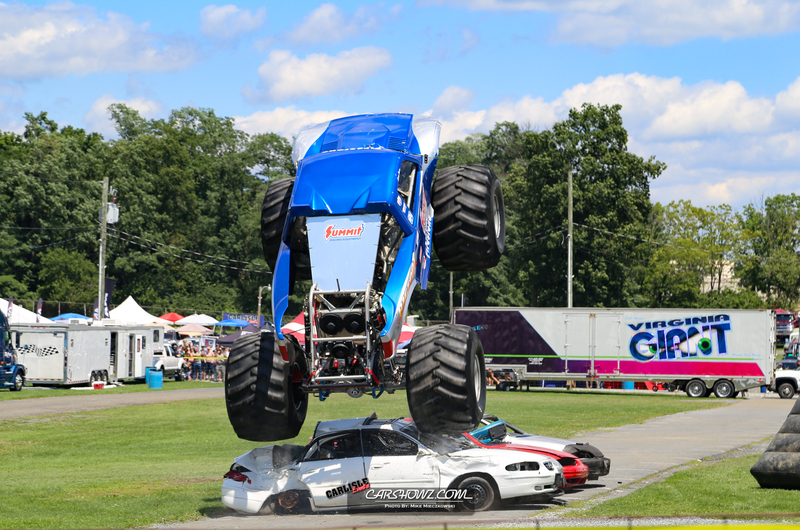 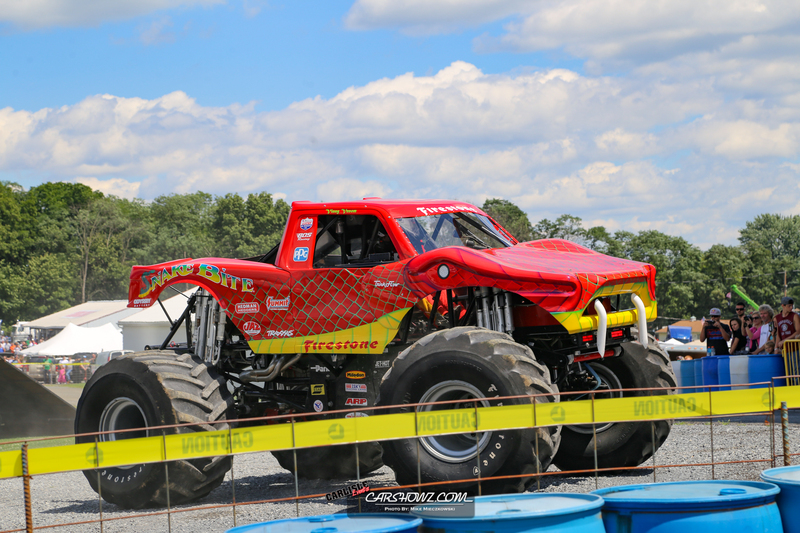 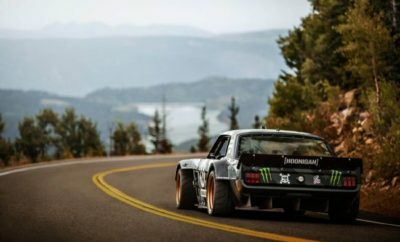 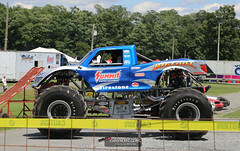 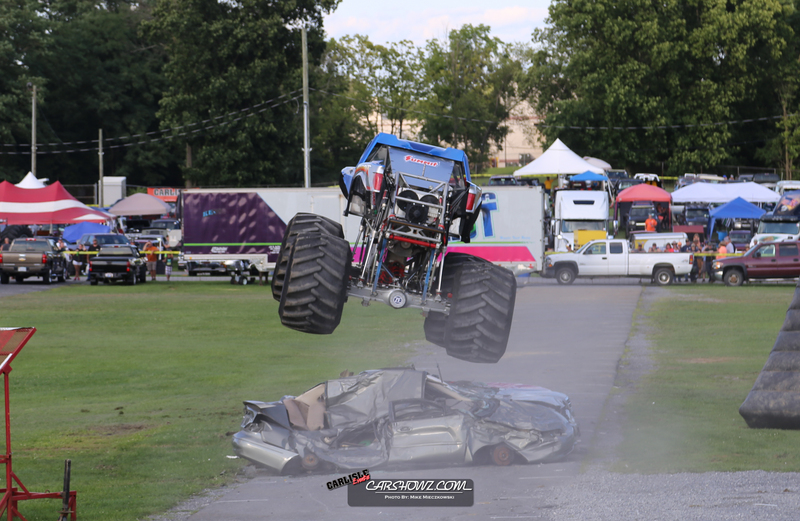 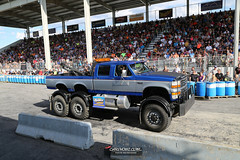 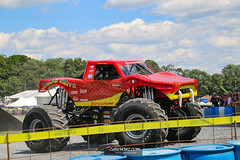 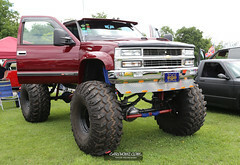 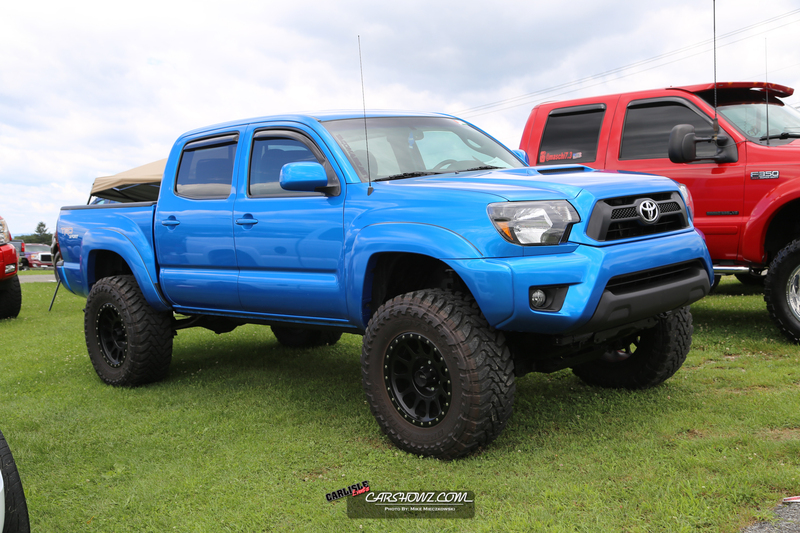 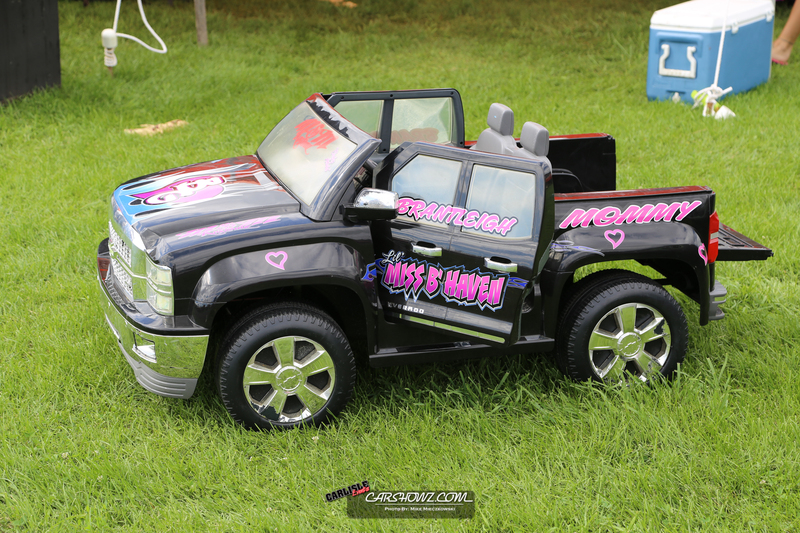 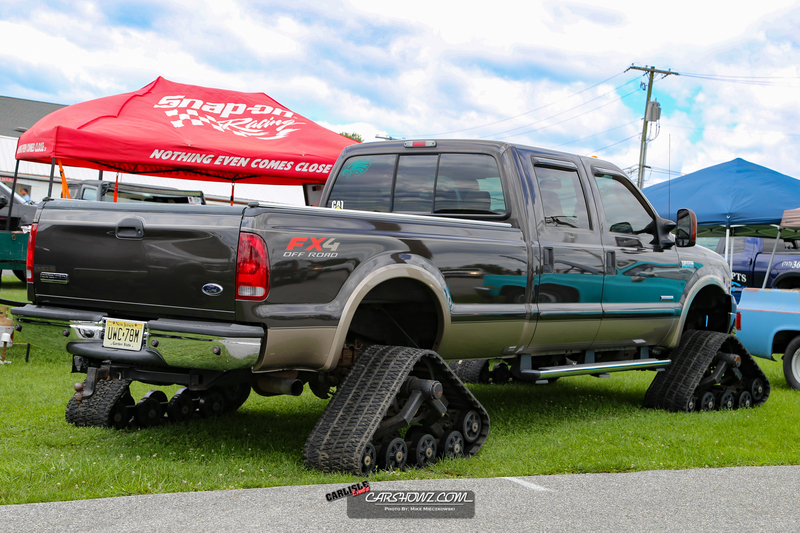 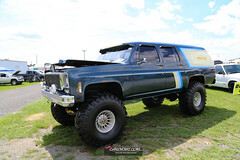 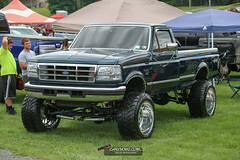 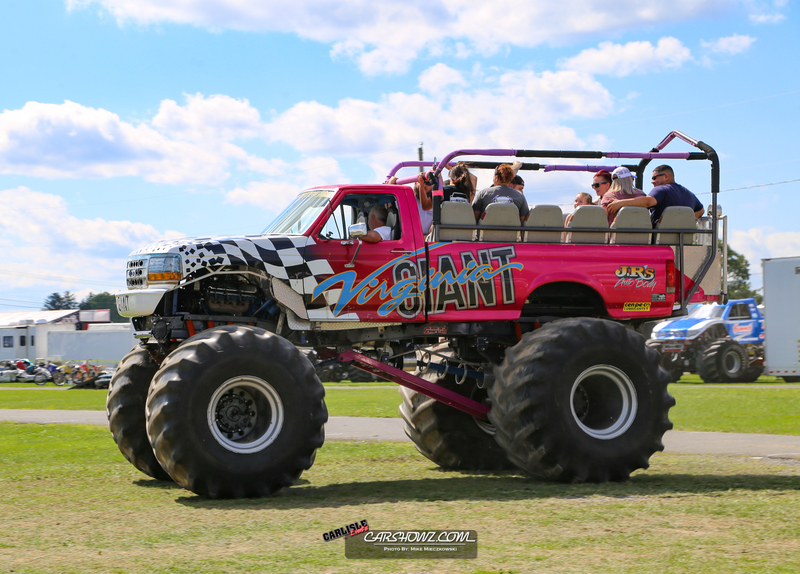 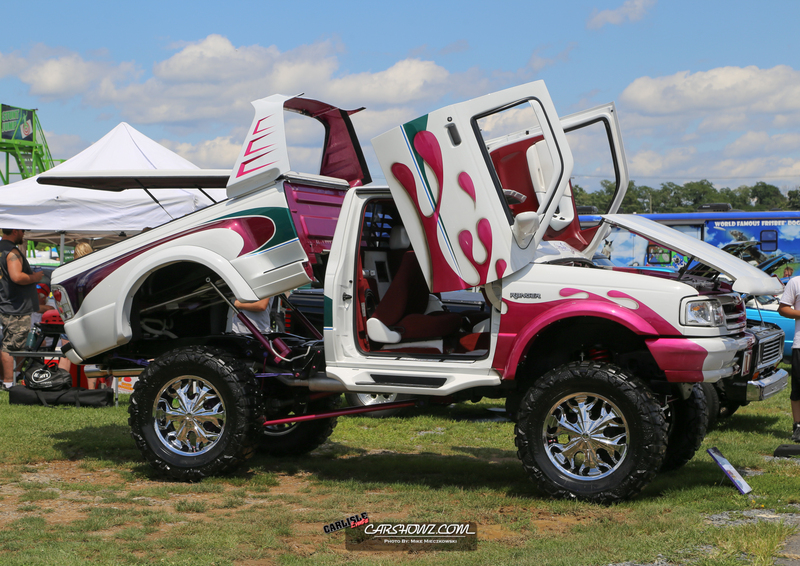 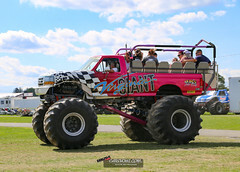 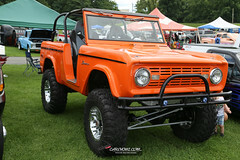 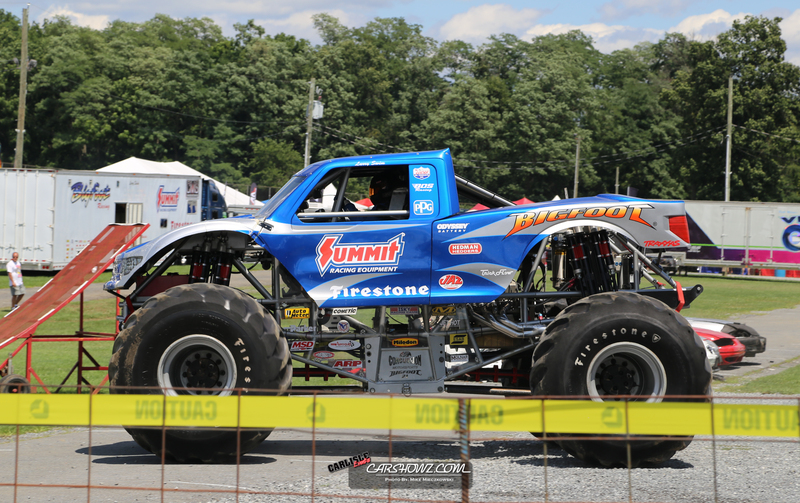 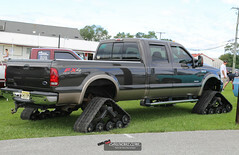 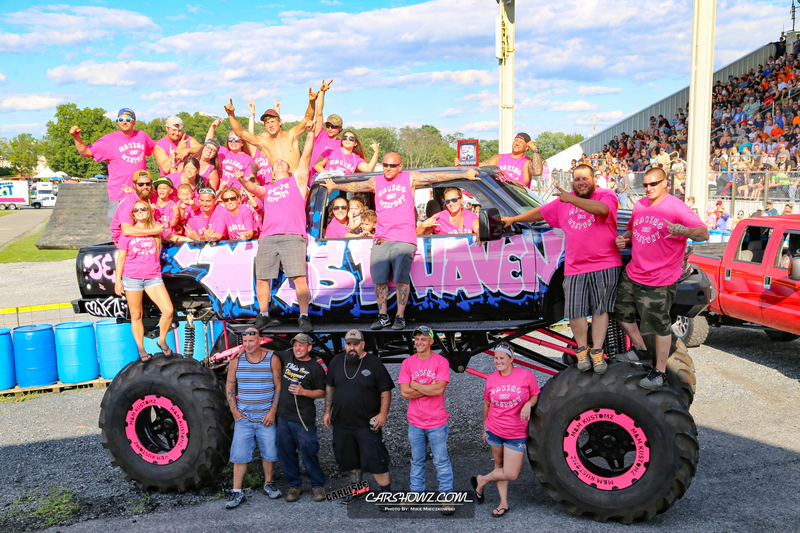 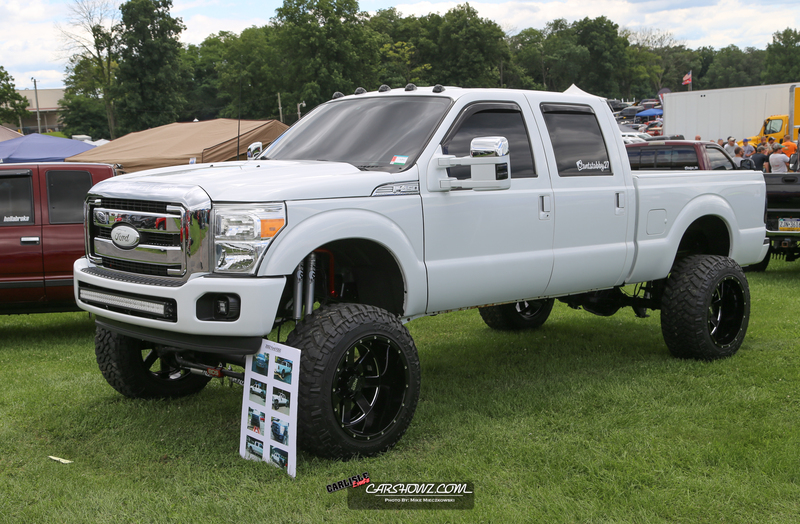 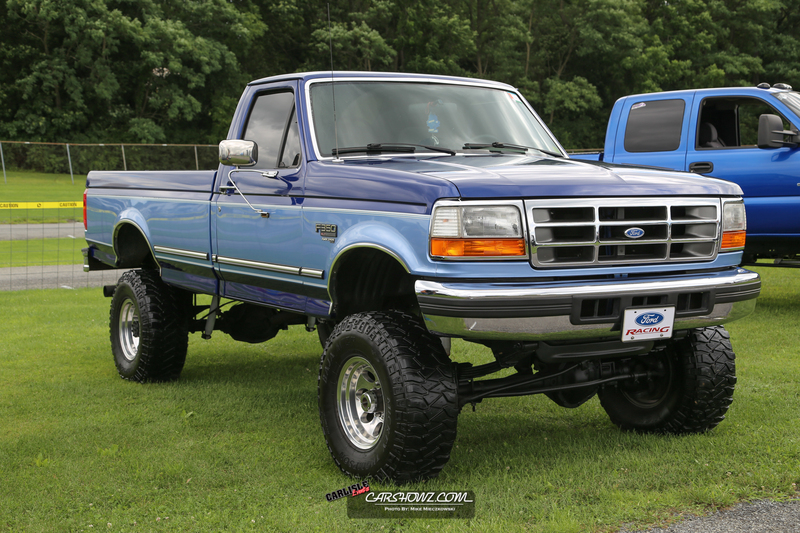 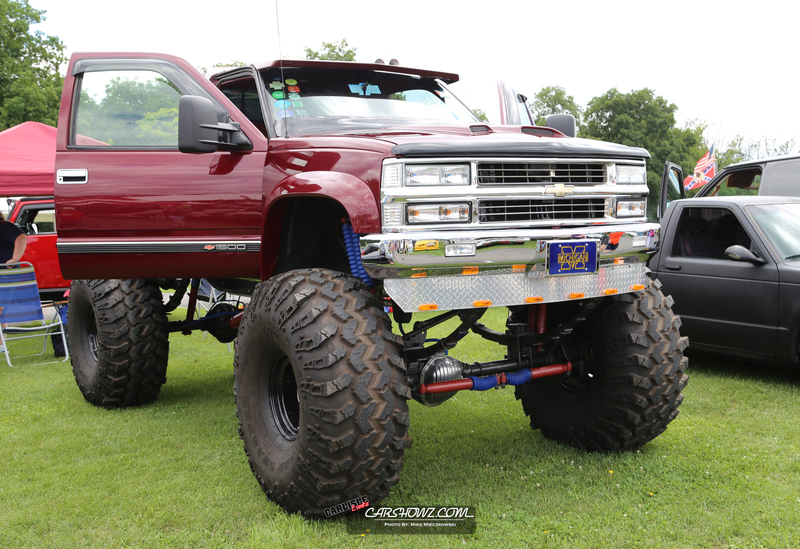 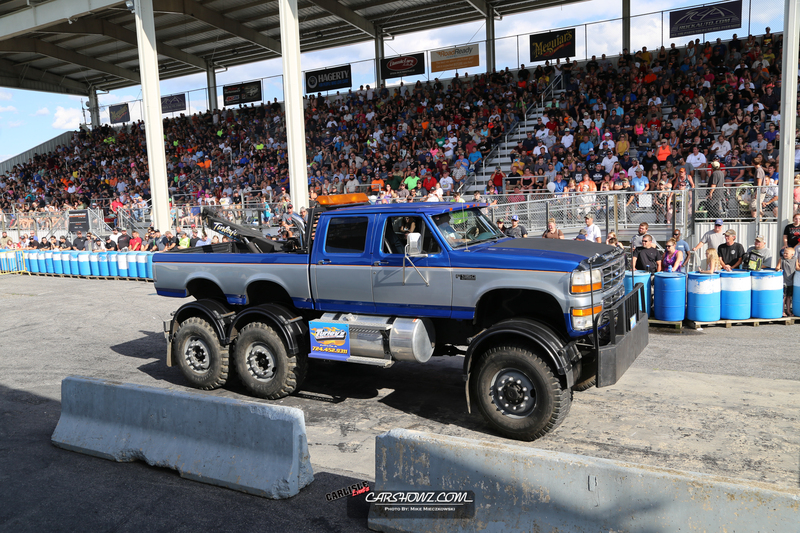 You could run your truck on the dyno or hop on the Virginia Giant Monster truck for a ride. 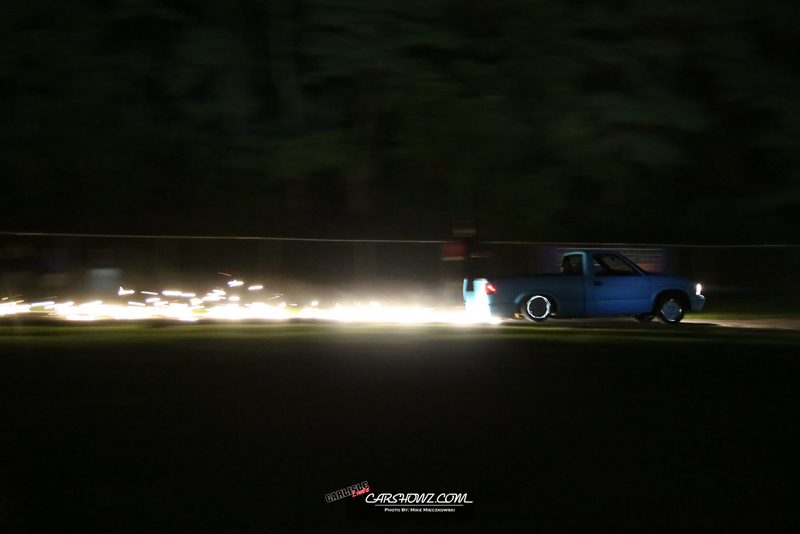 The fun didn’t end when the sun went down. 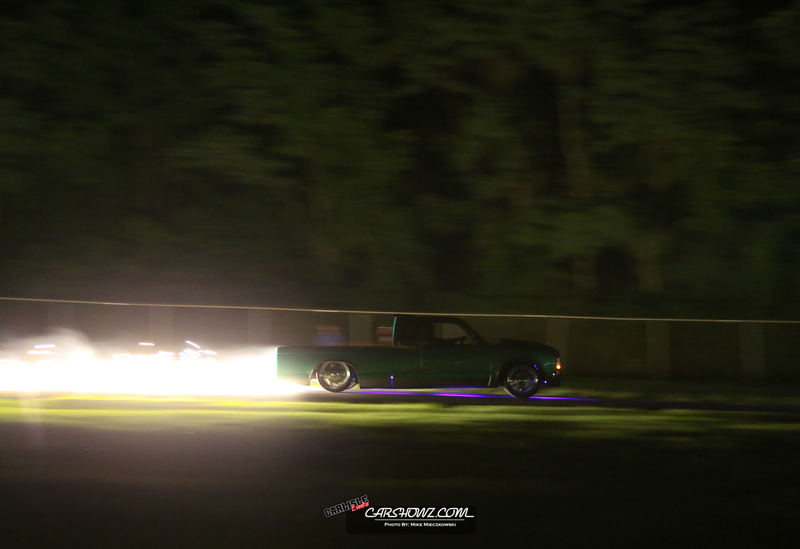 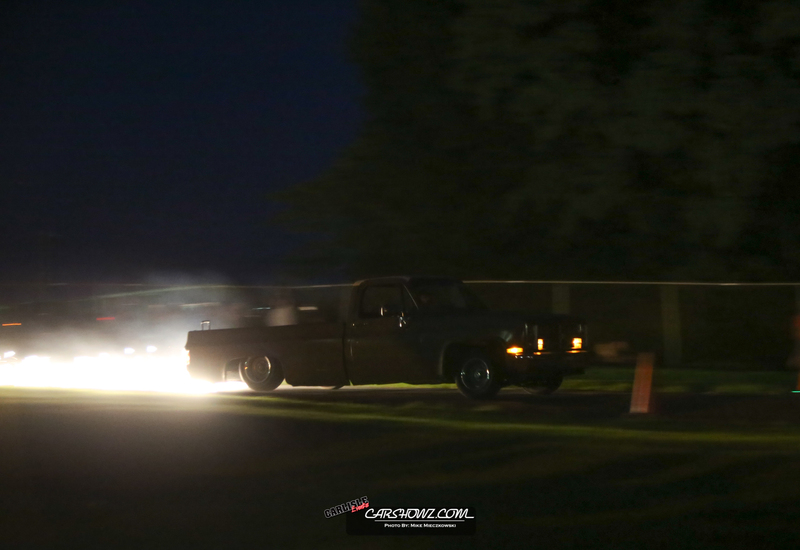 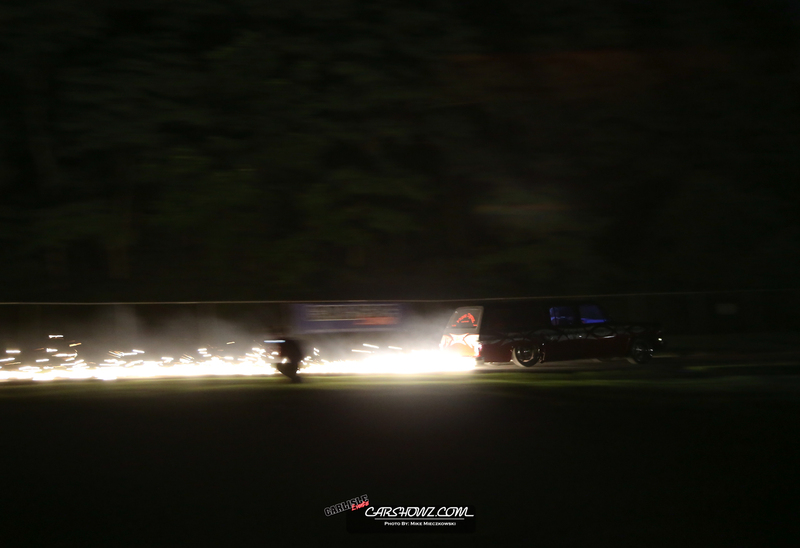 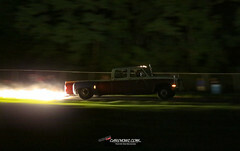 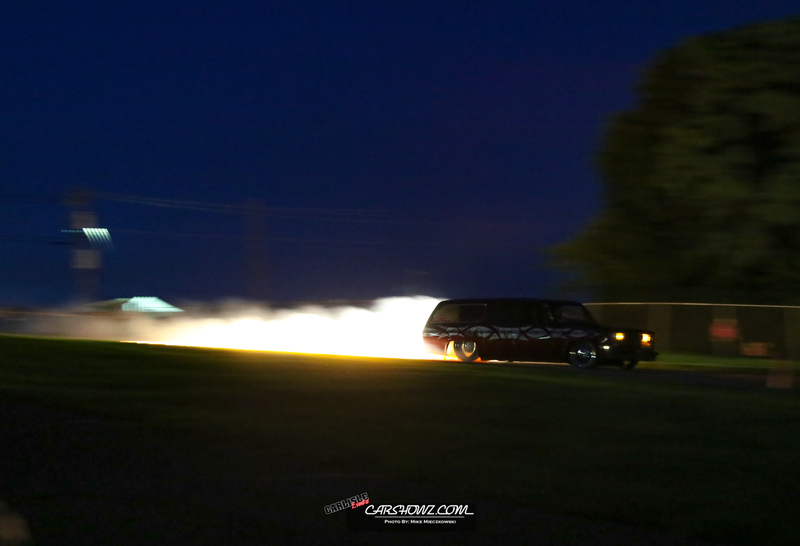 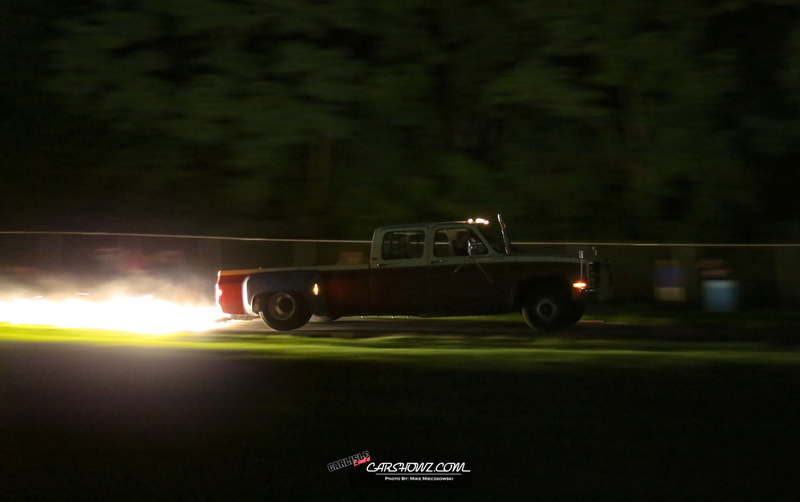 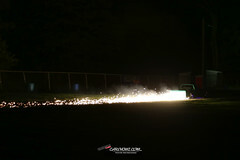 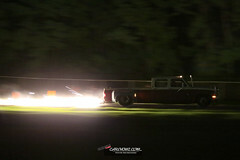 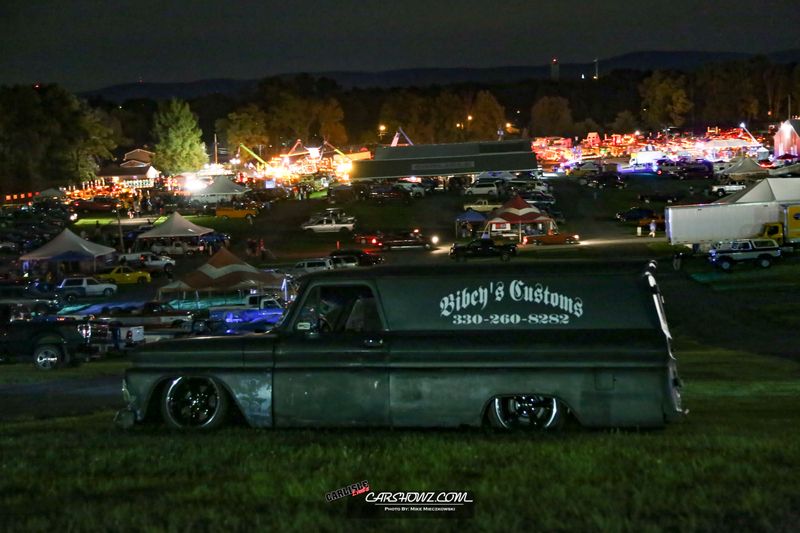 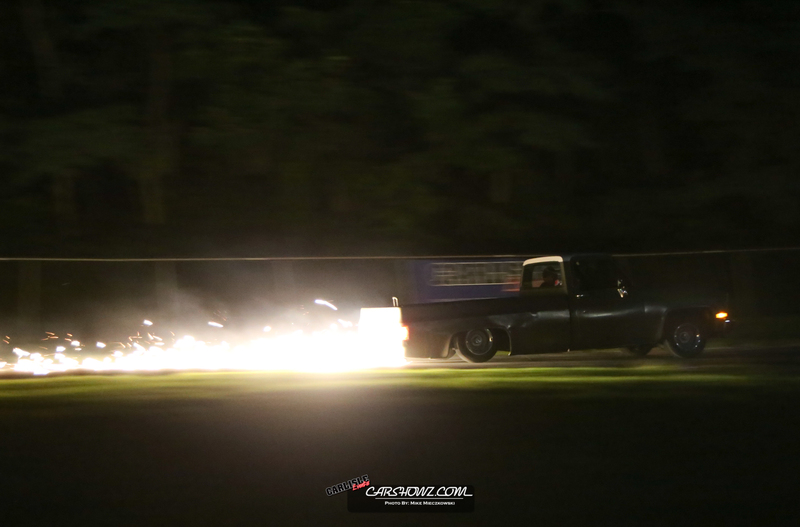 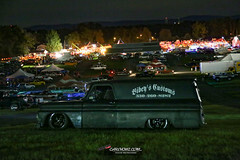 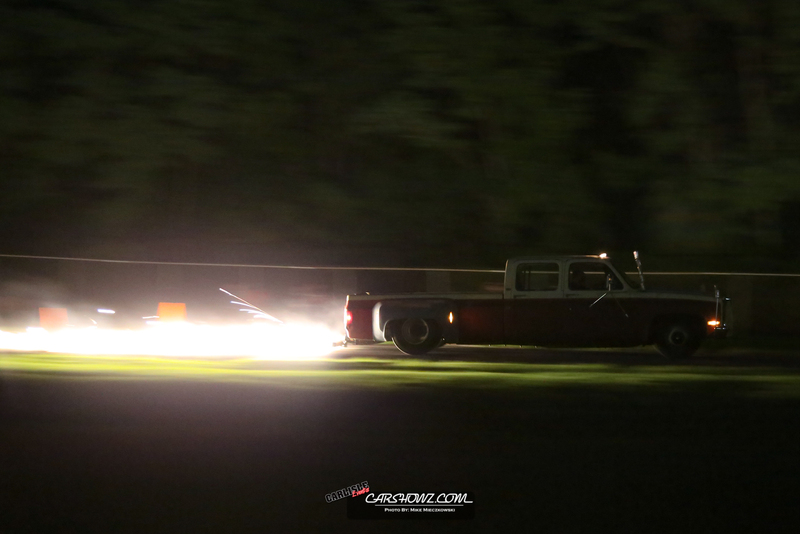 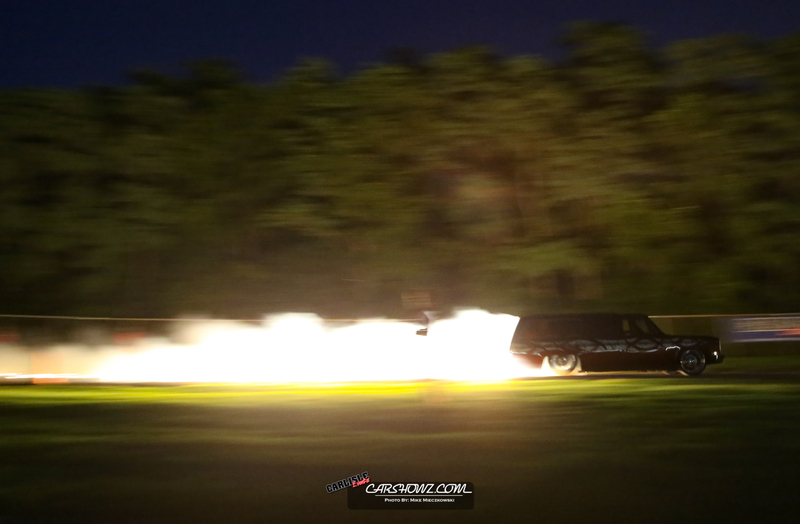 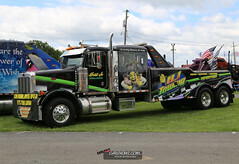 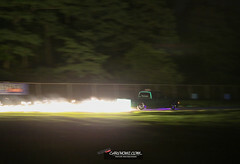 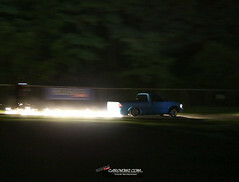 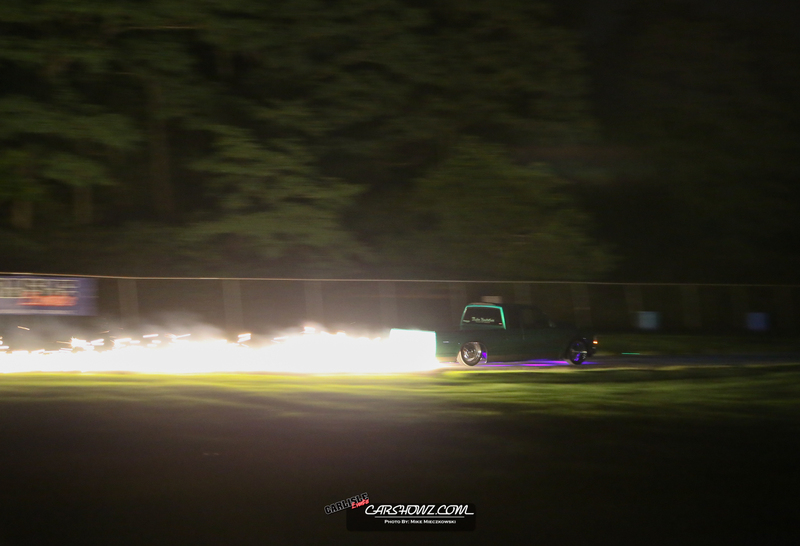 The Big Rigs lit up the night in their Show and Shine section while minitrucks did the same during the Frame drag Competition.